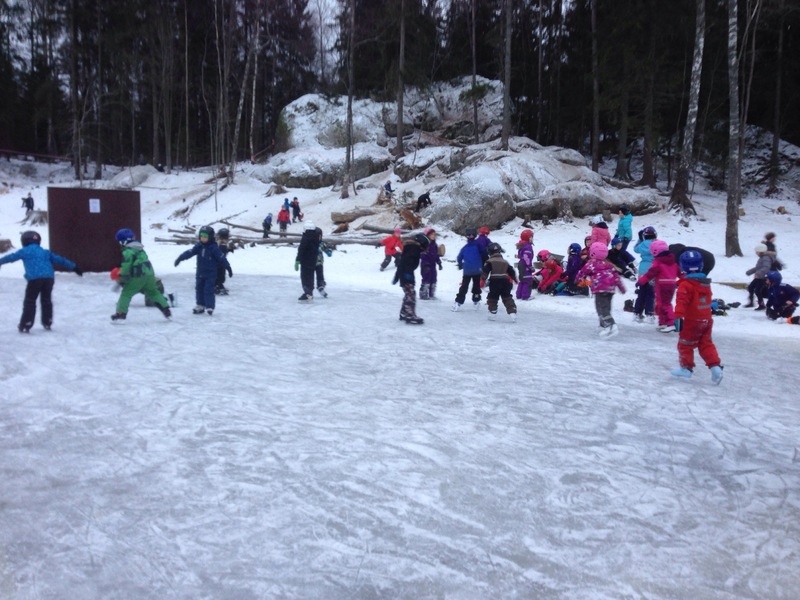 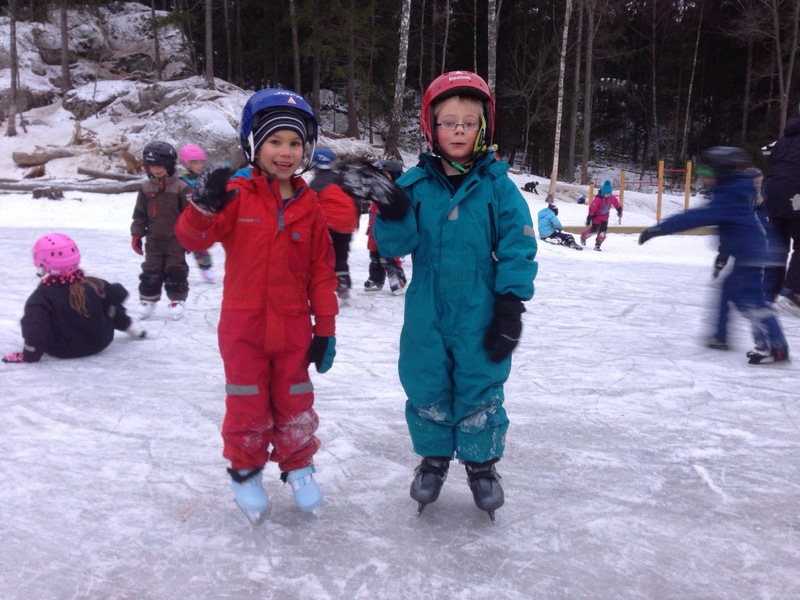 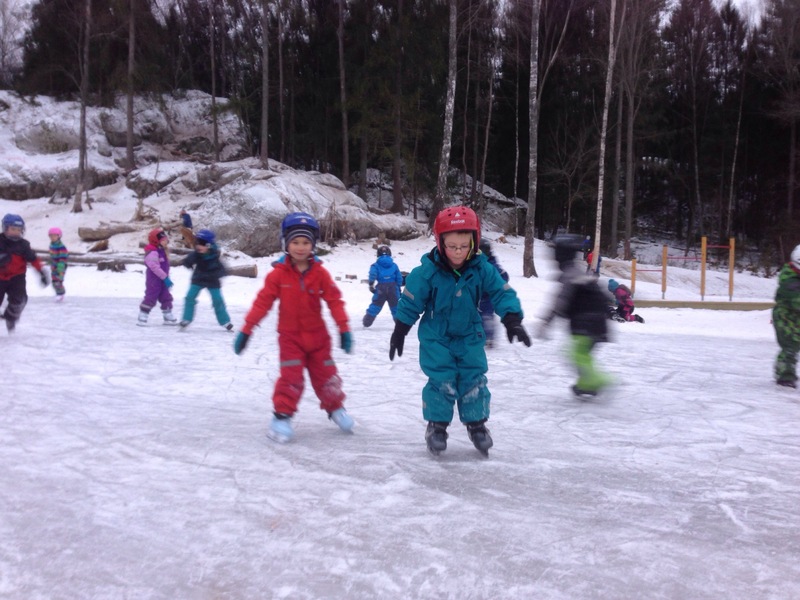 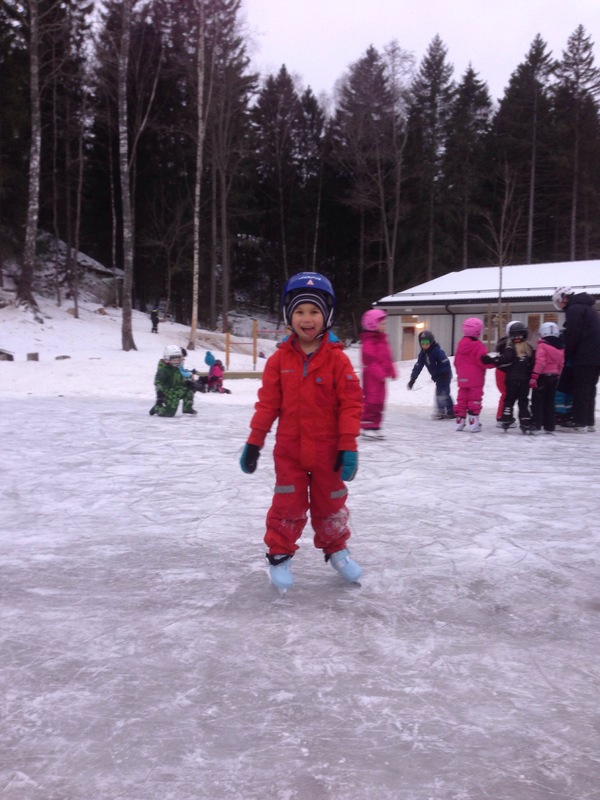 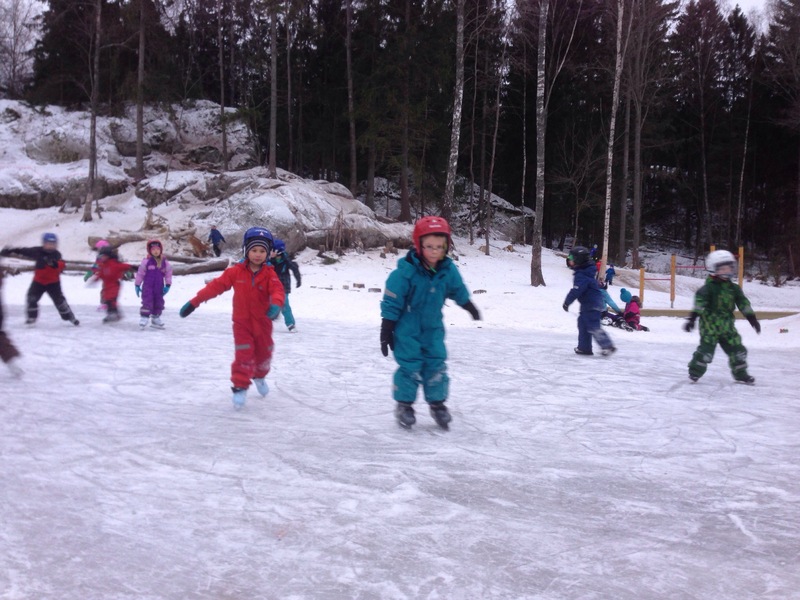 Ice Rink In The School Playground! 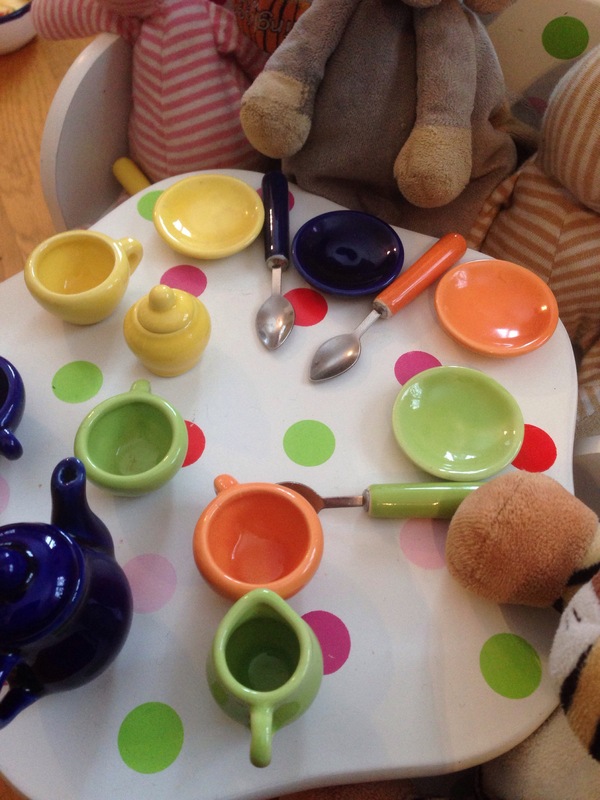 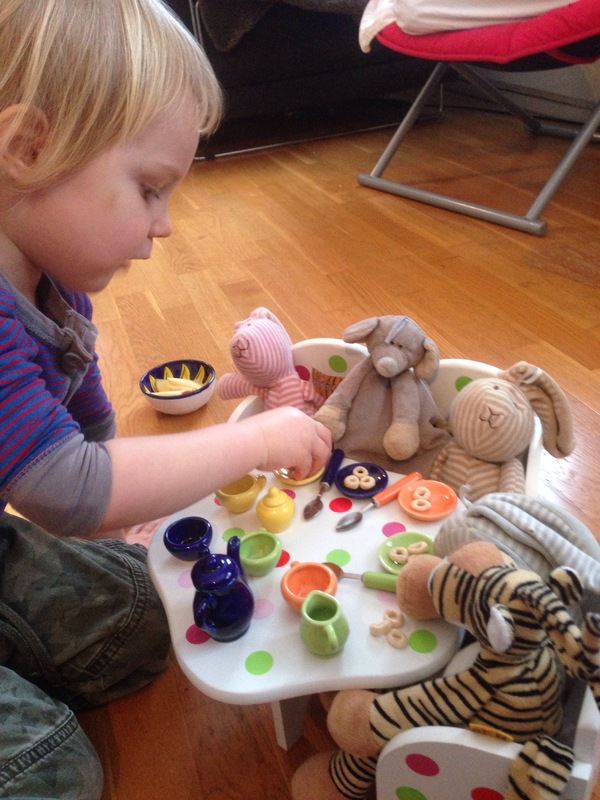 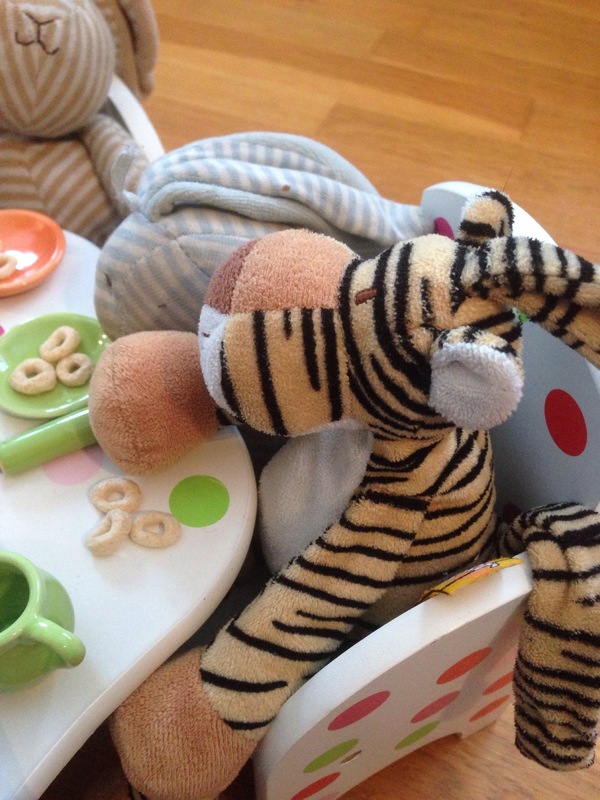 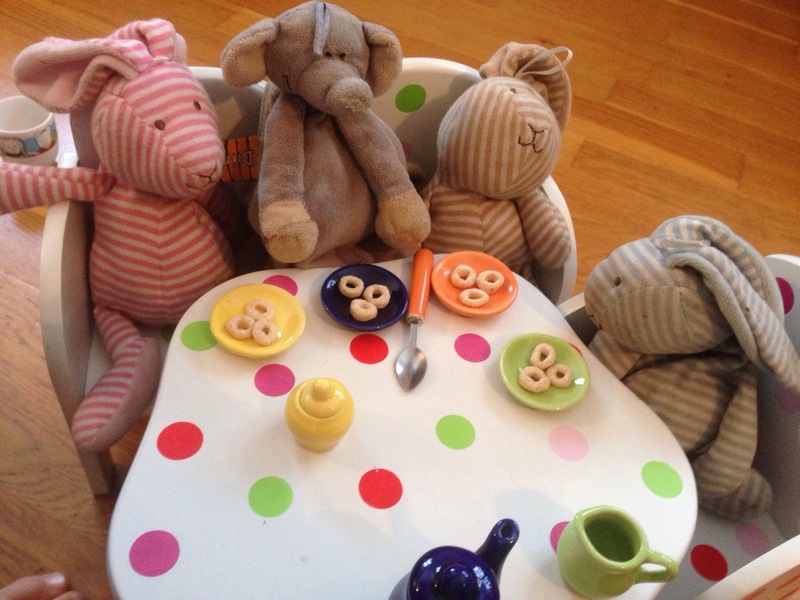 These days it’s kitchen play that Ted enjoys. 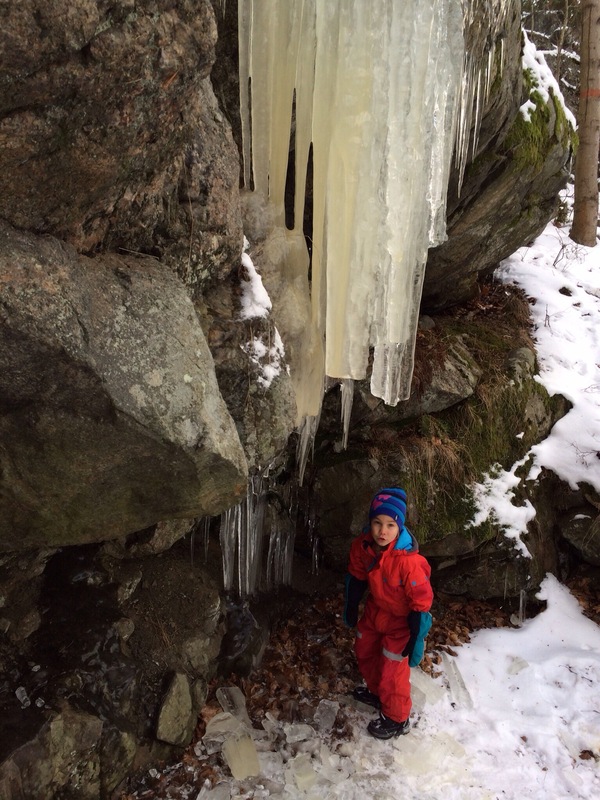 Lots of it! 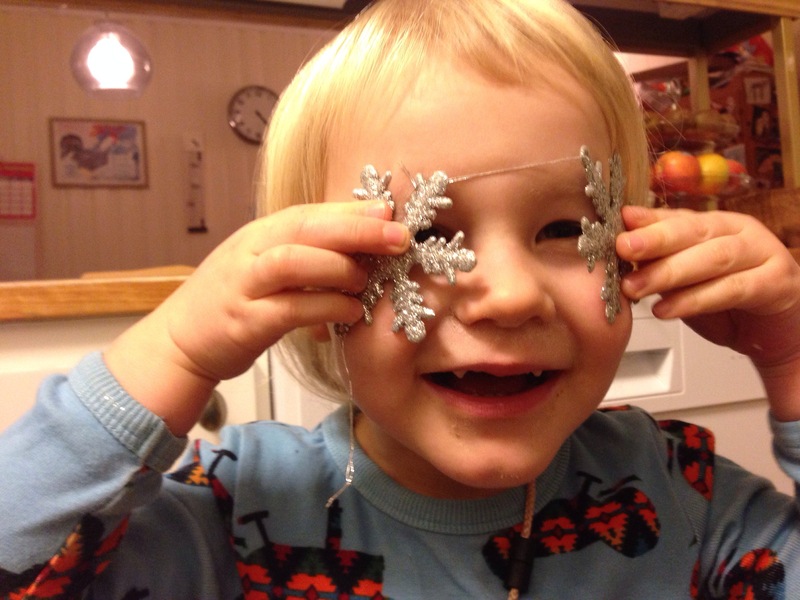 Many an hour has been spent having parties and eating ‘cake’. 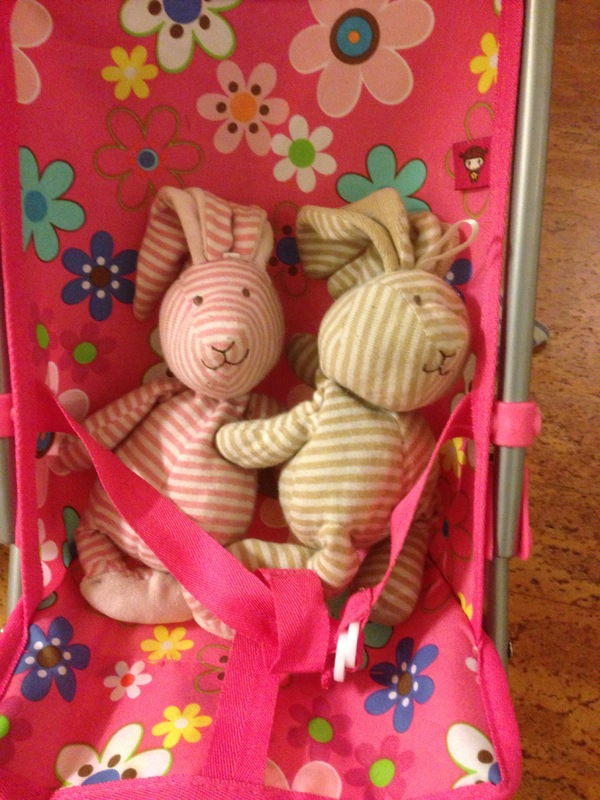 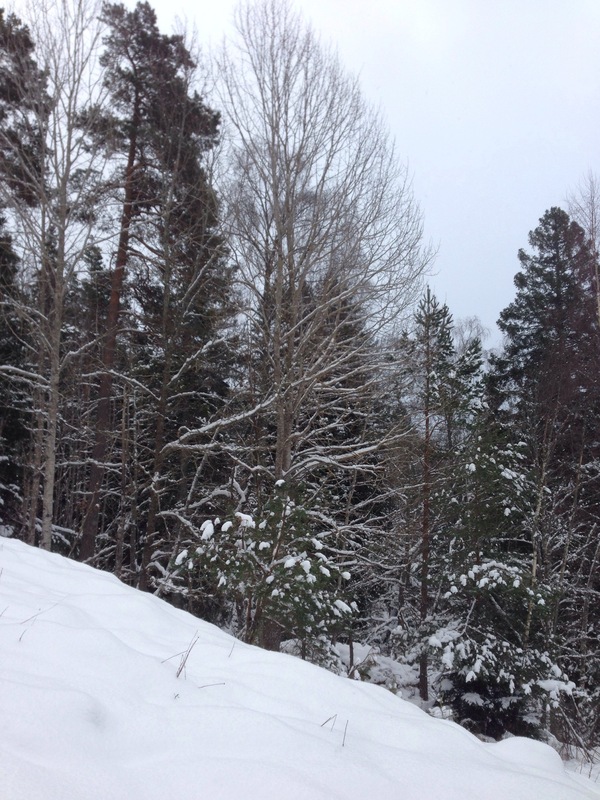 Time for a walk instead…! 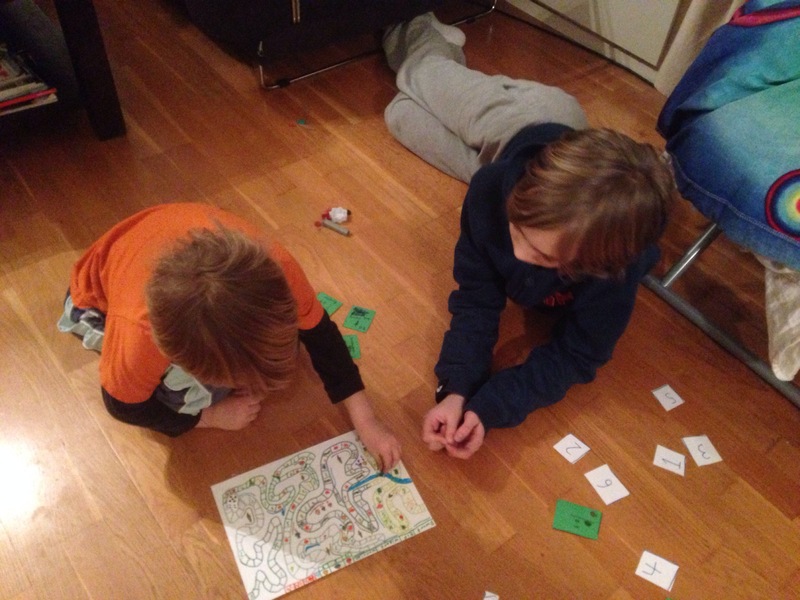 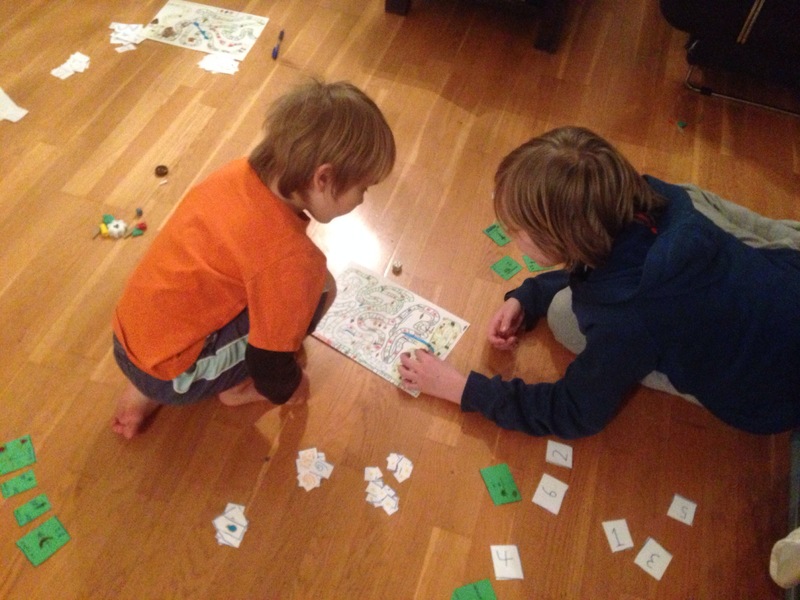 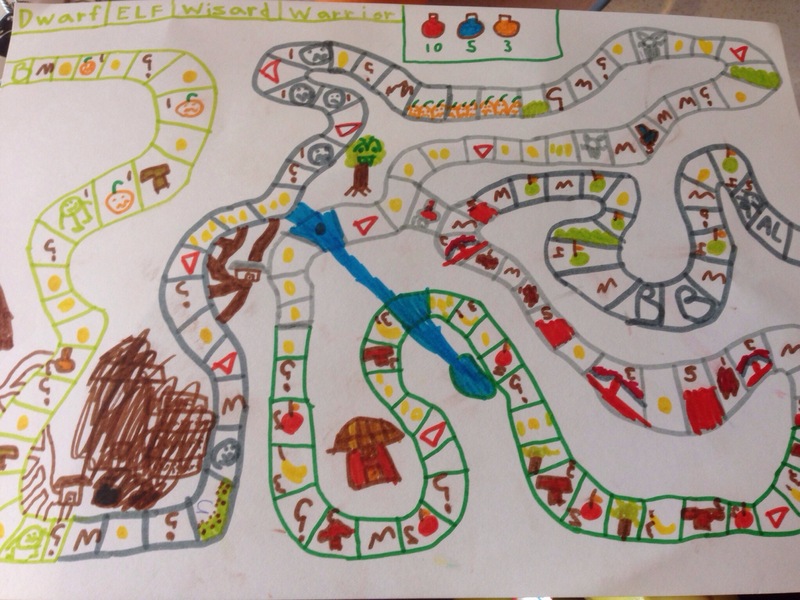 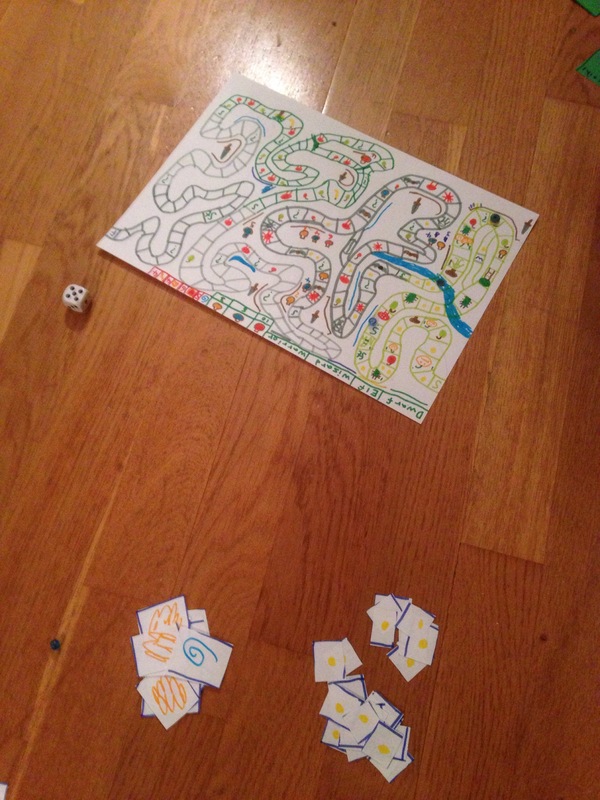 Homemade Board Game : Lord Of The Rings? 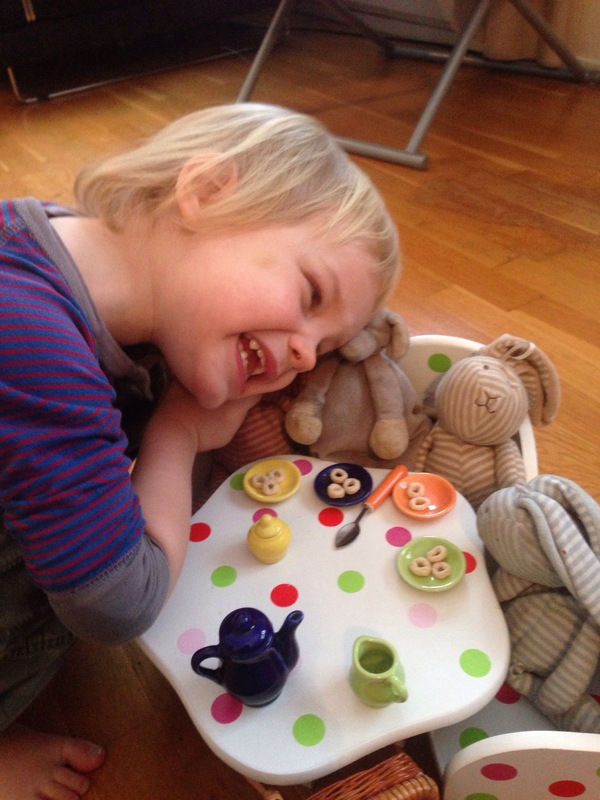 Posted in Lessons With Lovely Leon, One Hundred Percent Child Initiated! 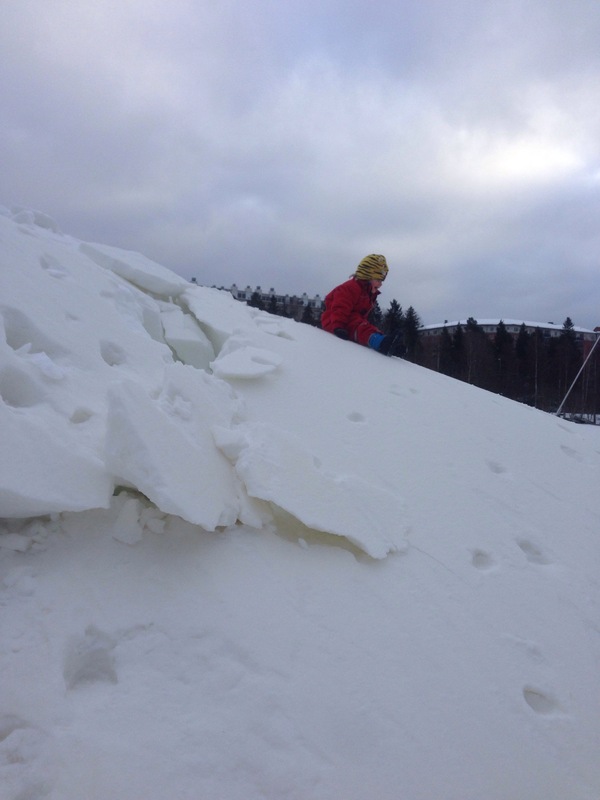 It was fun…but if I’m honest with you…climbing the huge mountain of snow left by the snow-plough proved even more fun….for big boys and small! 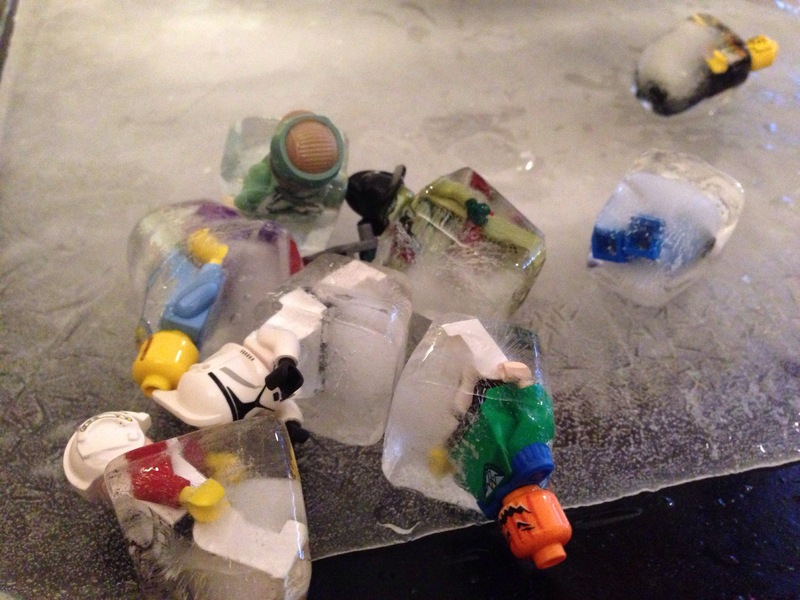 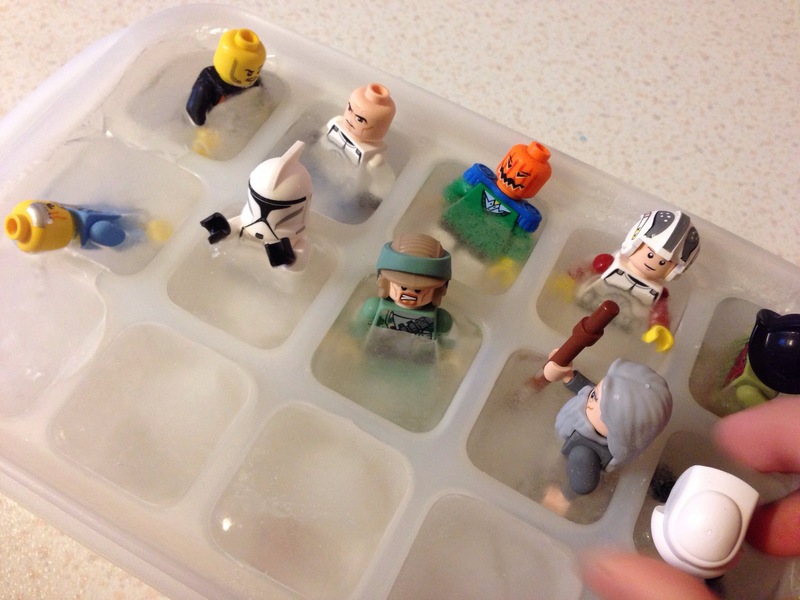 Frozen in ice cube trays..
We divided the men in to teams, and lined each team up..
…then it was time to flick them and try to knock over members of the other team! 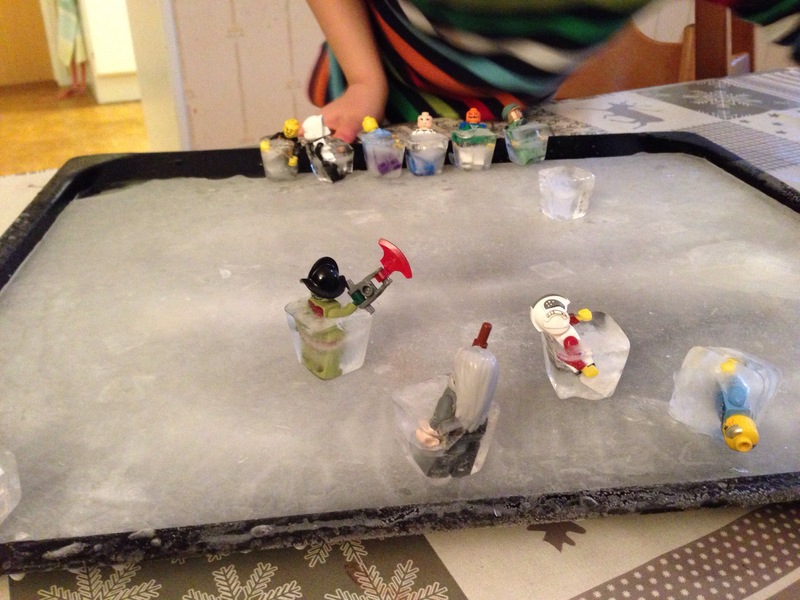 Oh the battles they had! 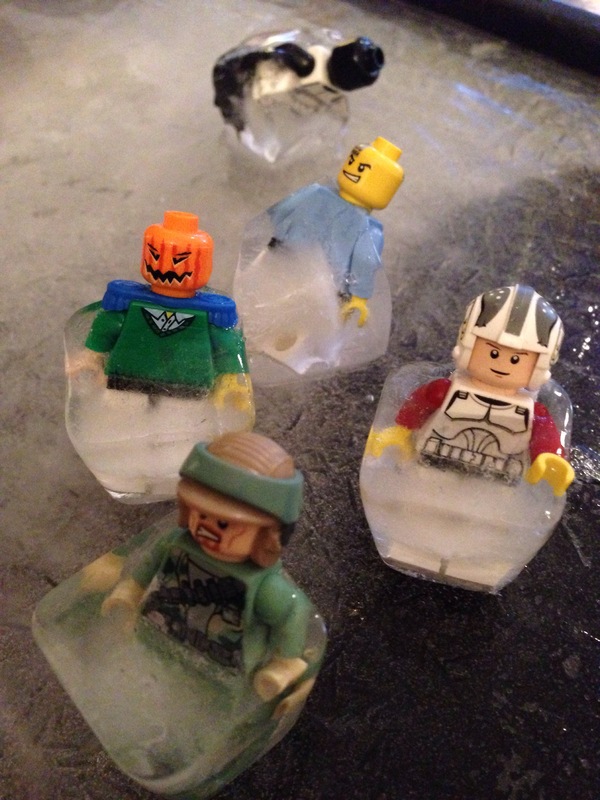 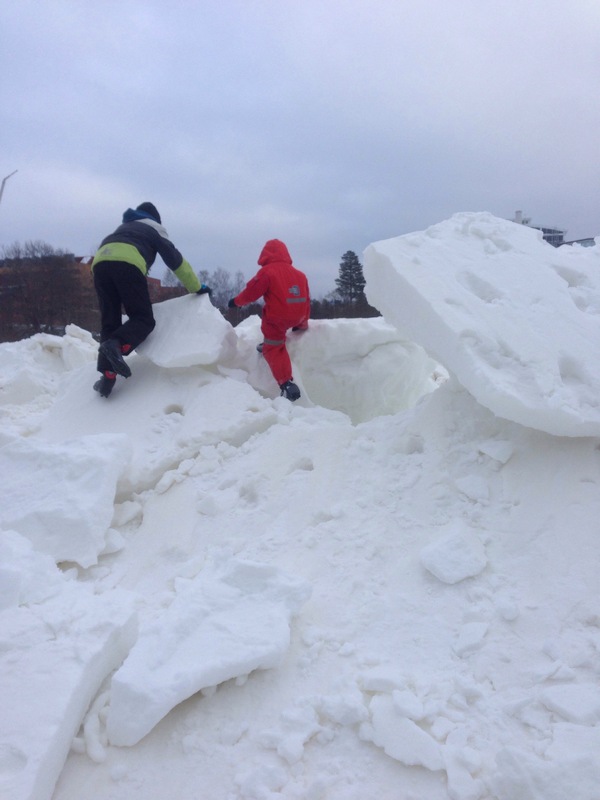 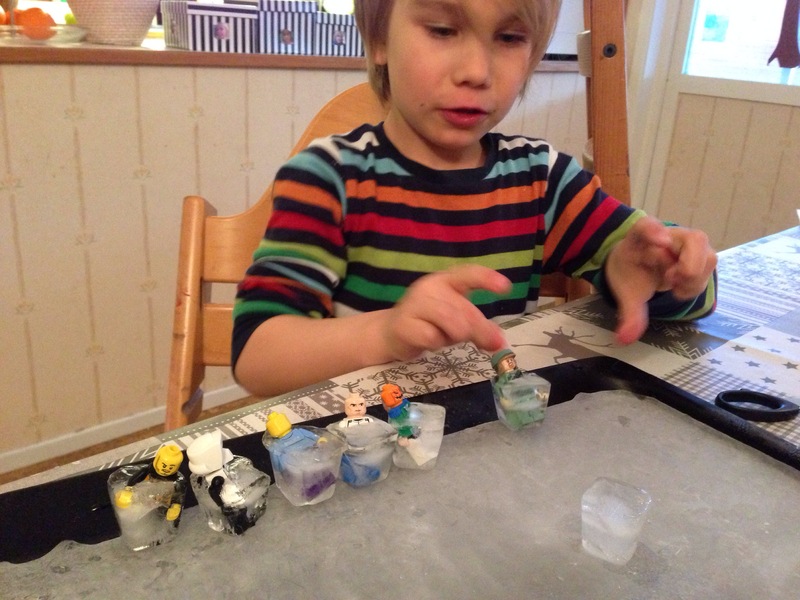 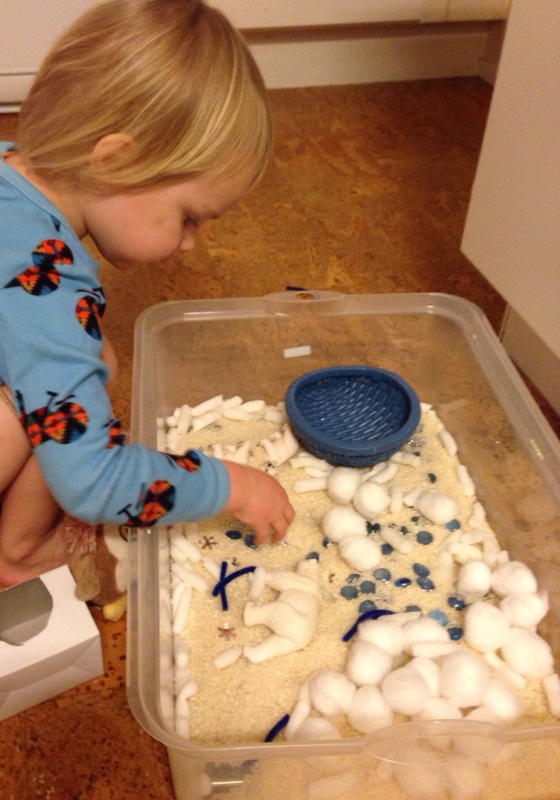 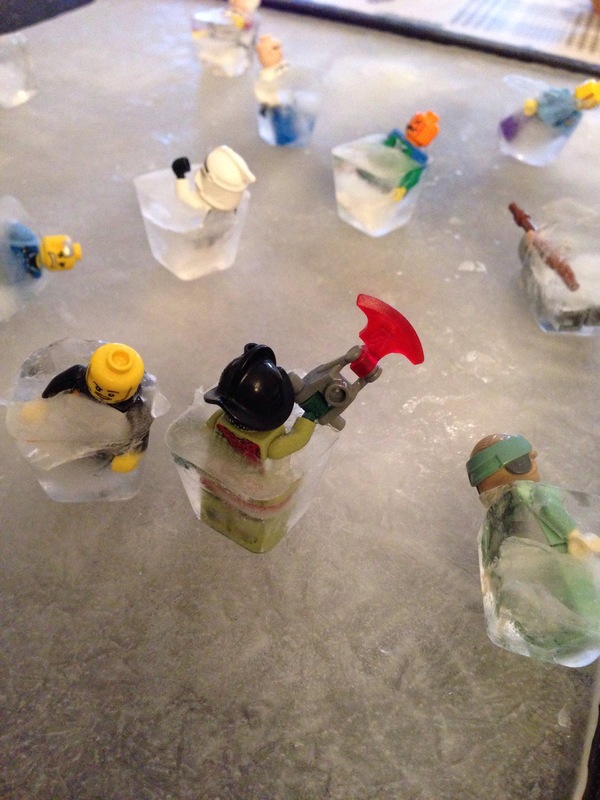 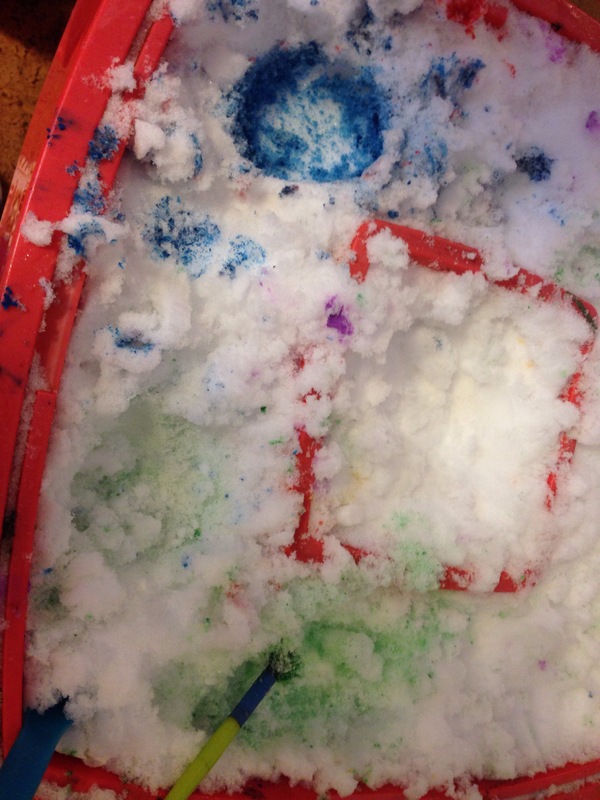 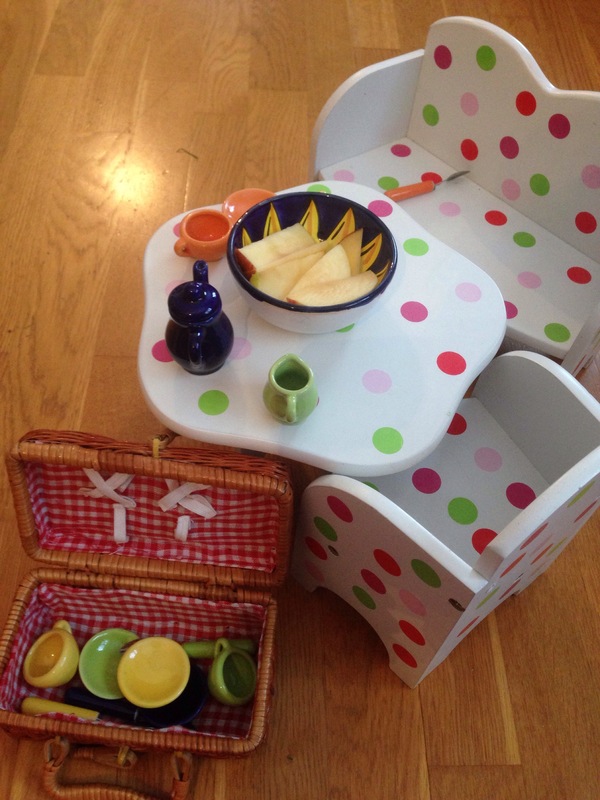 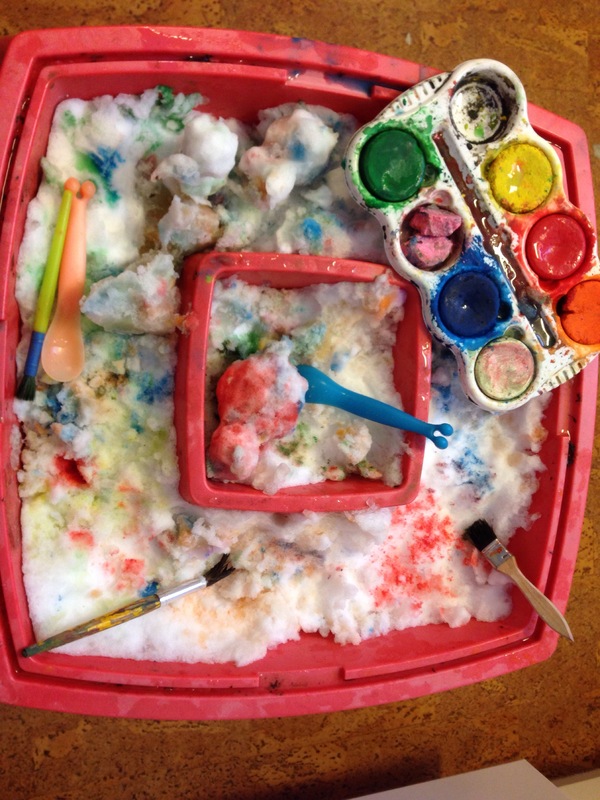 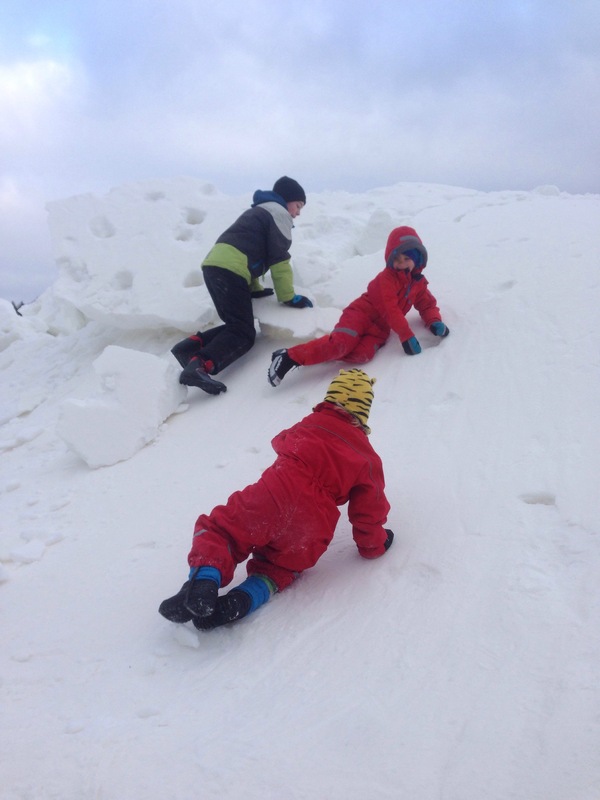 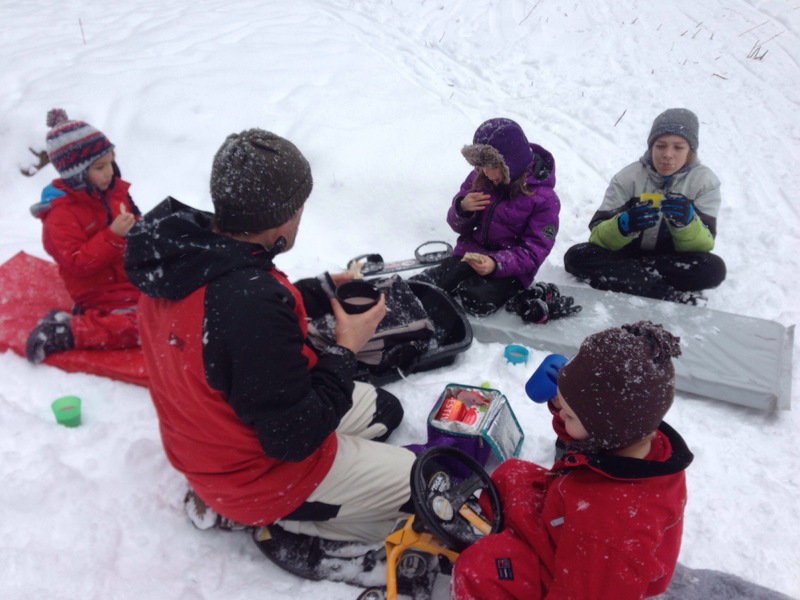 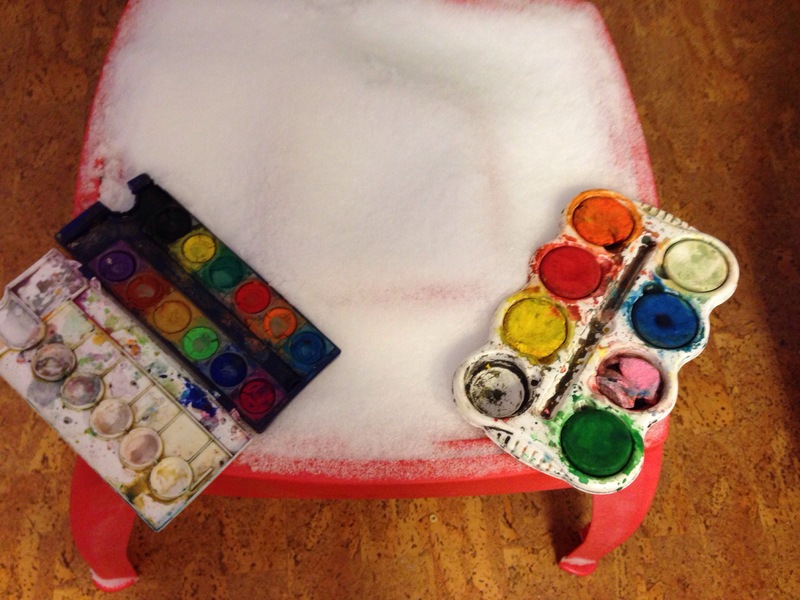 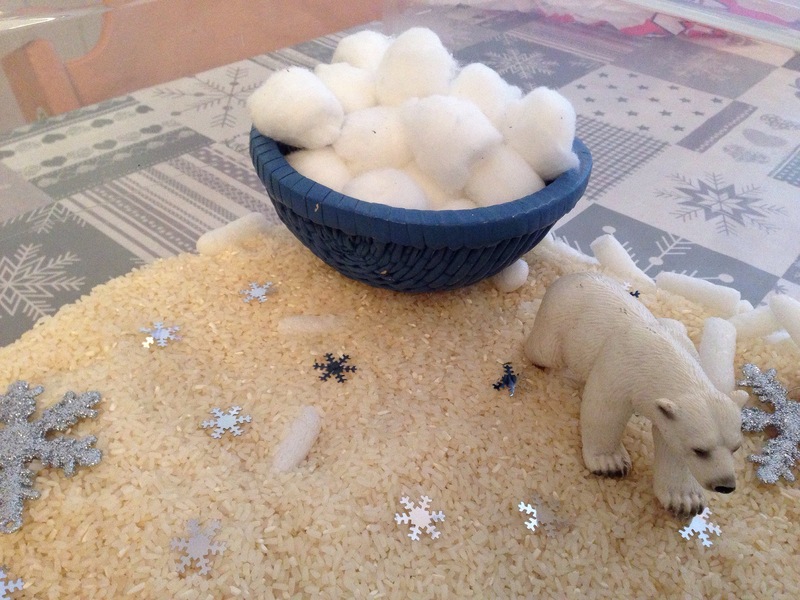 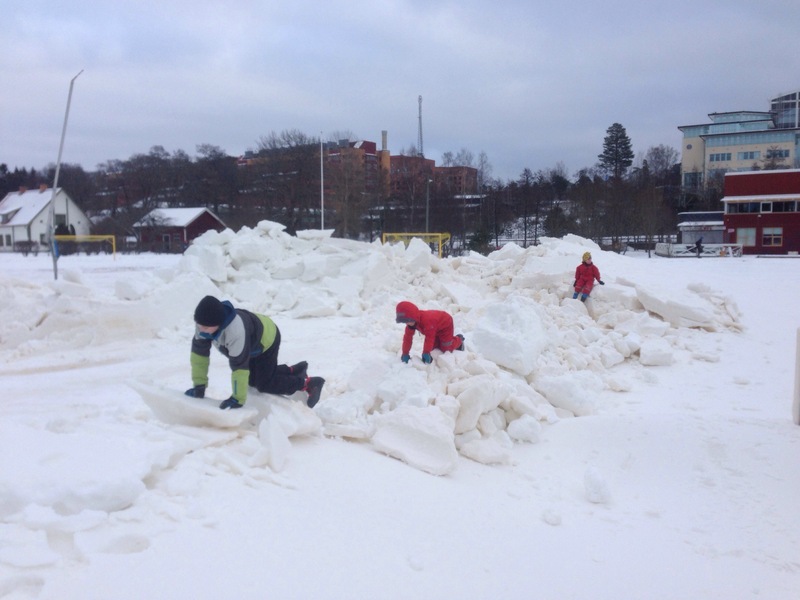 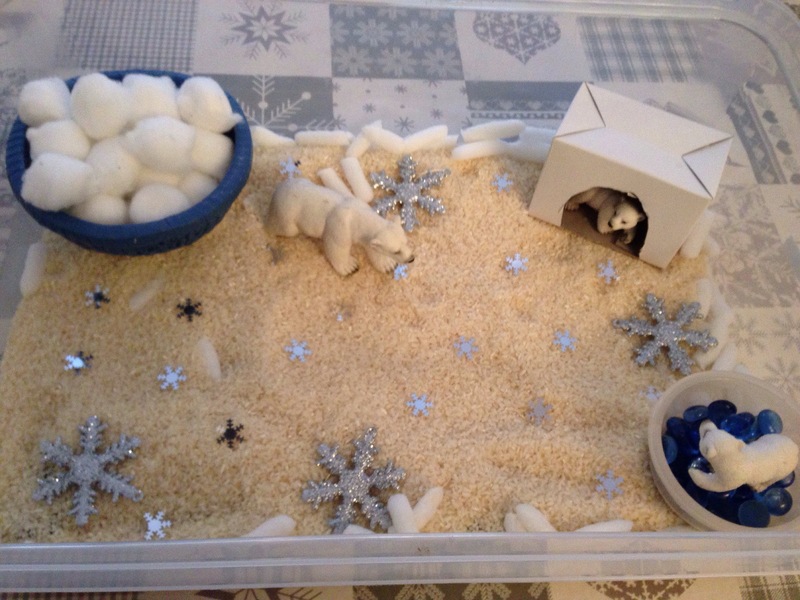 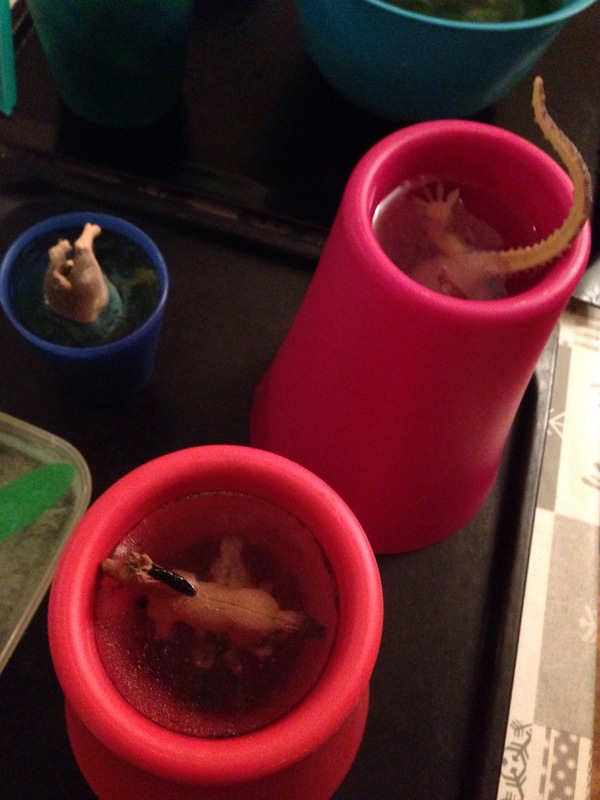 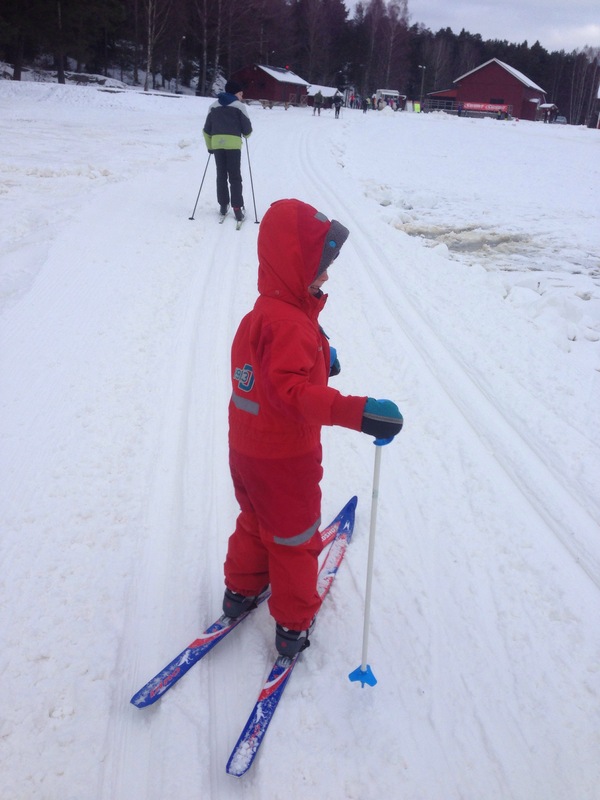 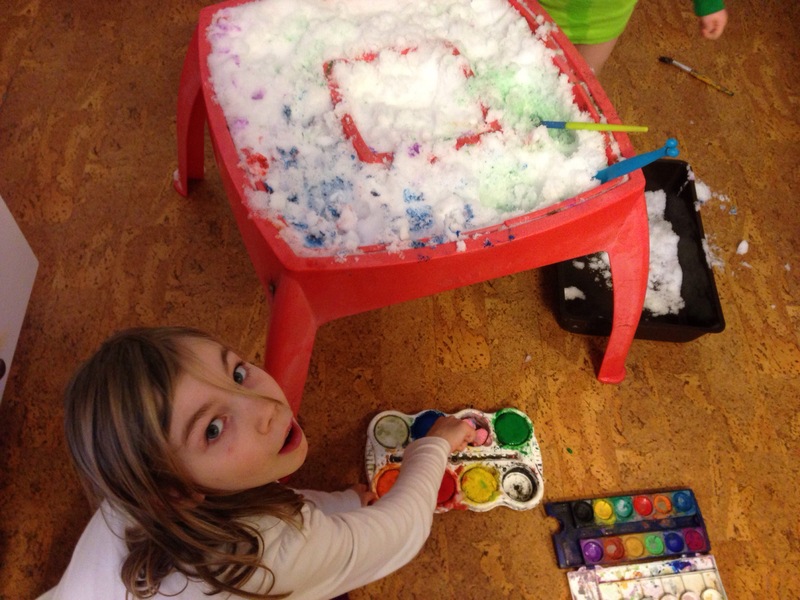 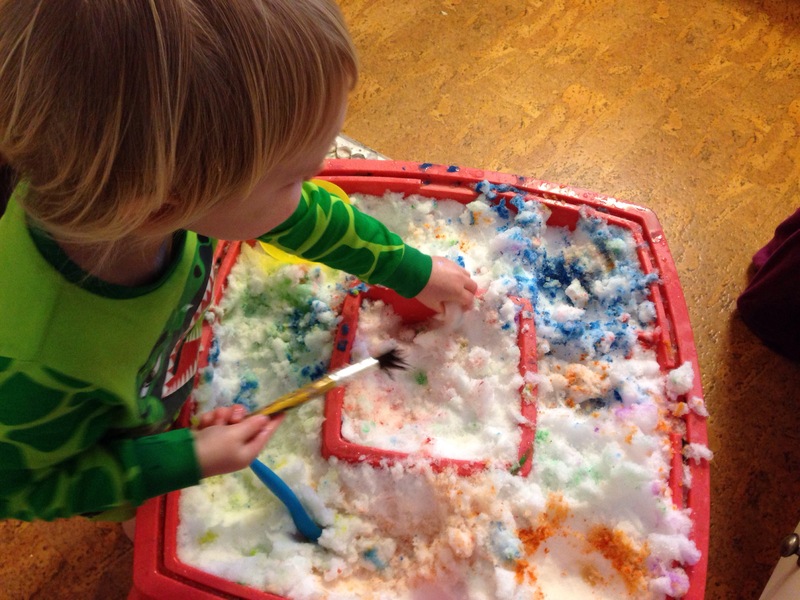 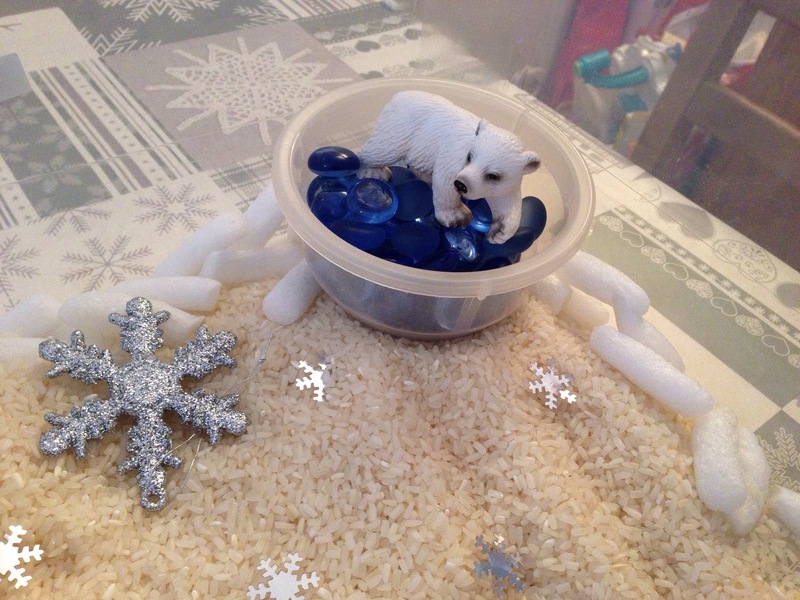 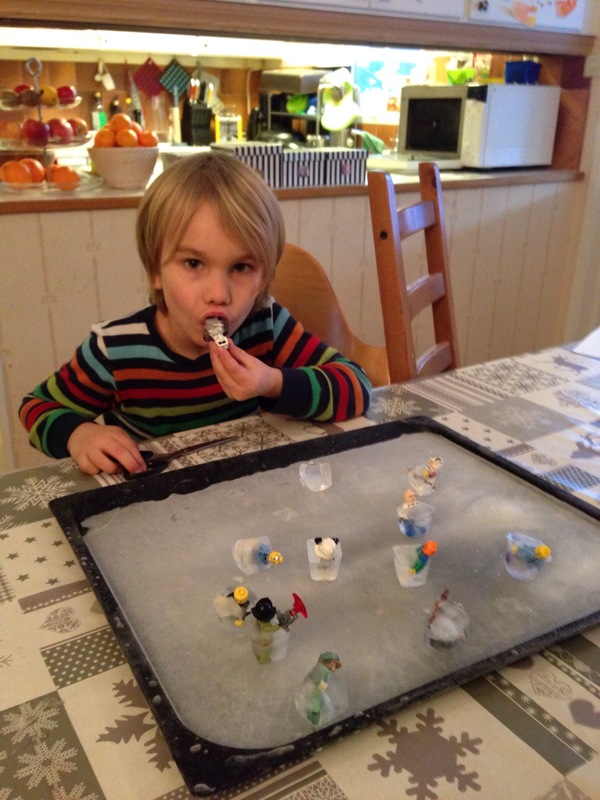 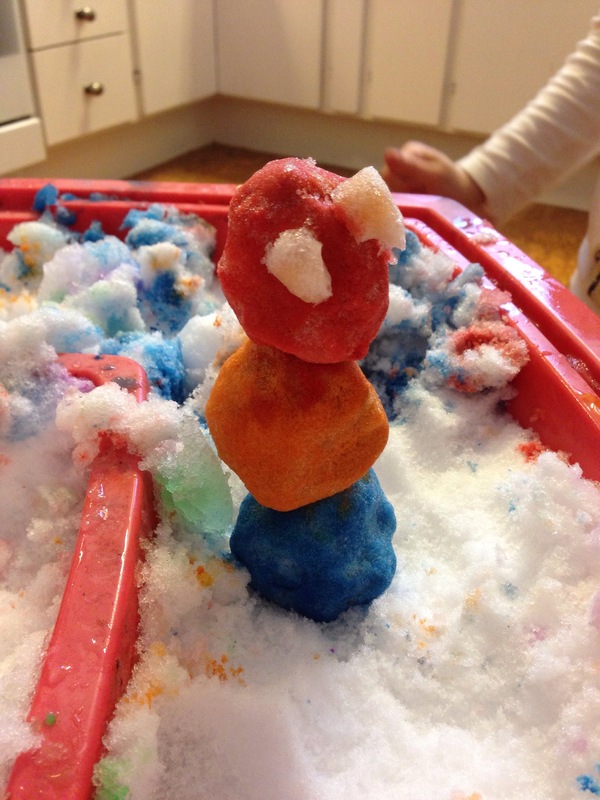 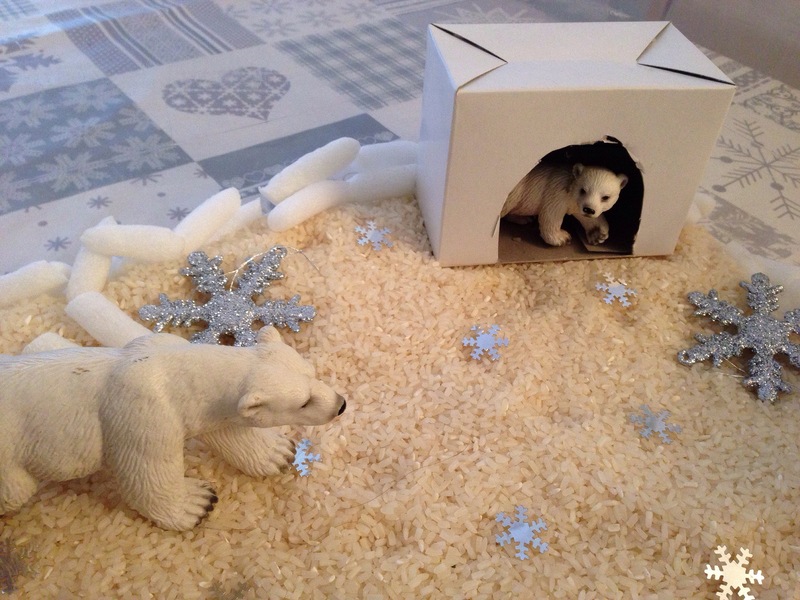 We brought in the snow…..
A fun idea from ‘Teach preschool’ blog.. 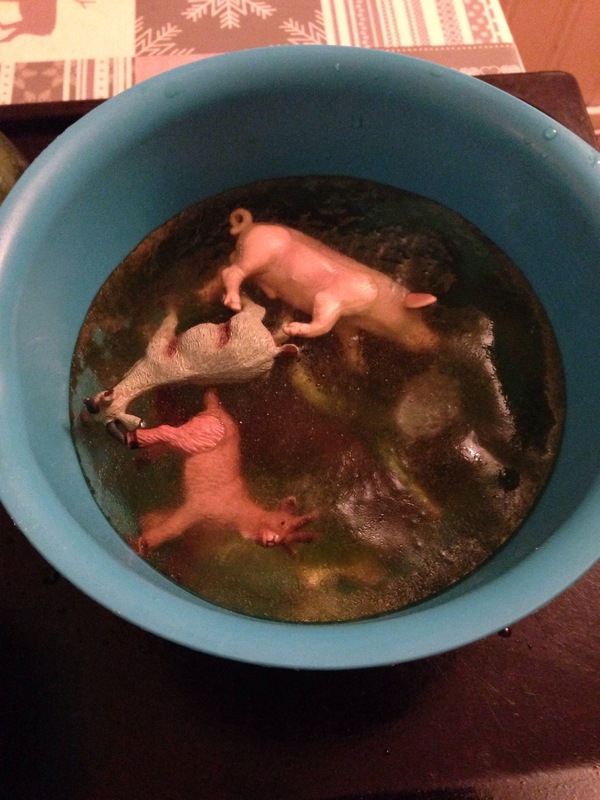 Freeing The Animals From Ice! 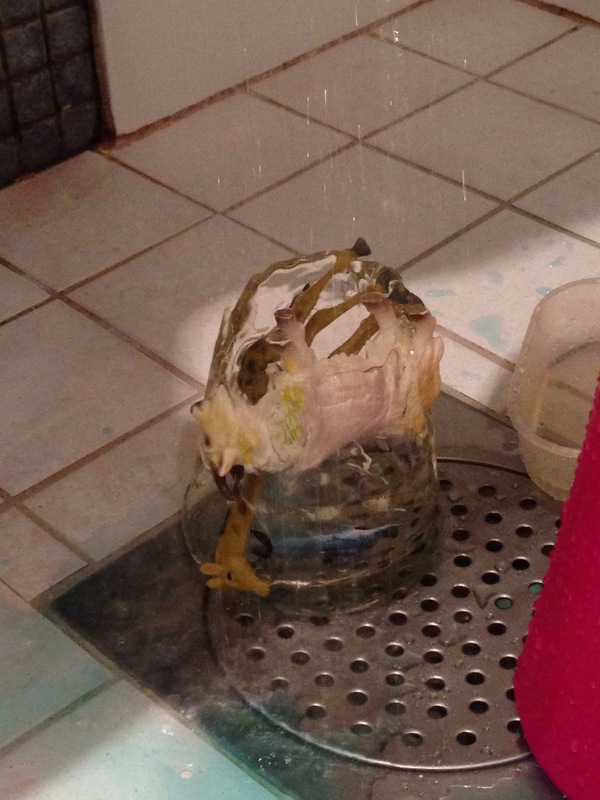 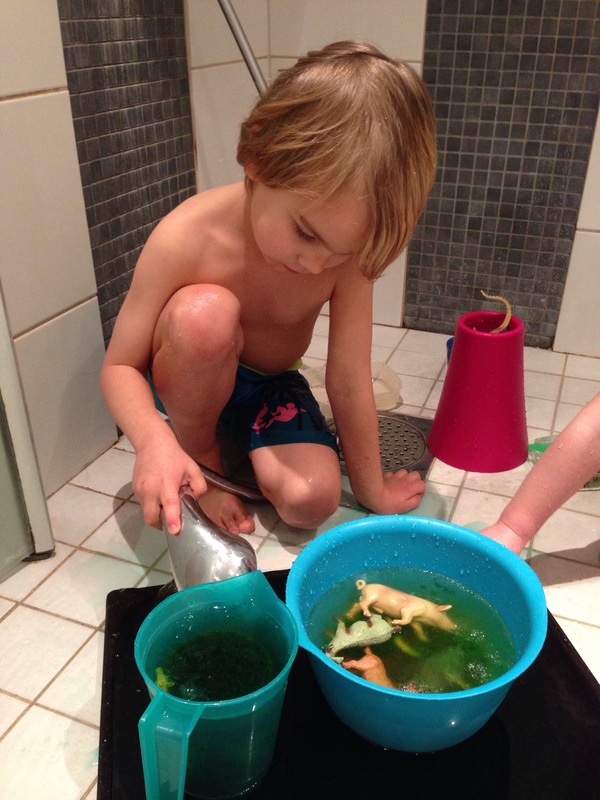 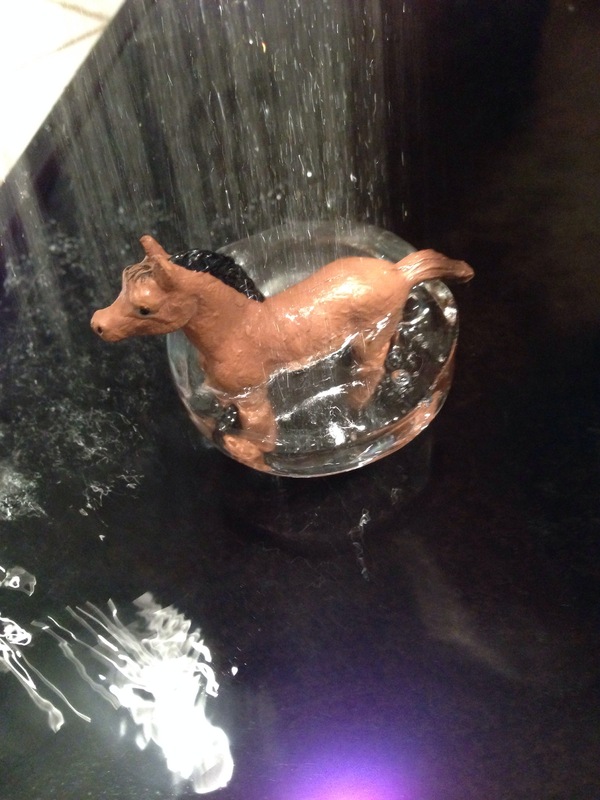 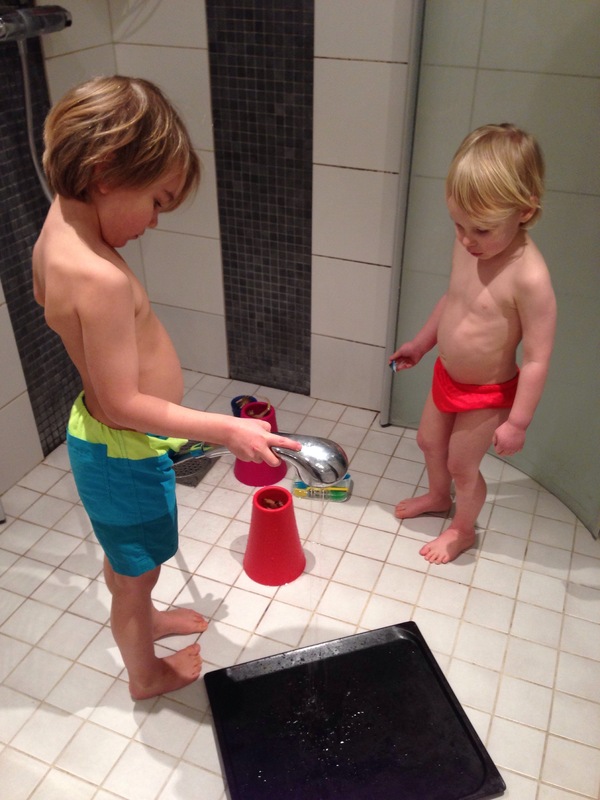 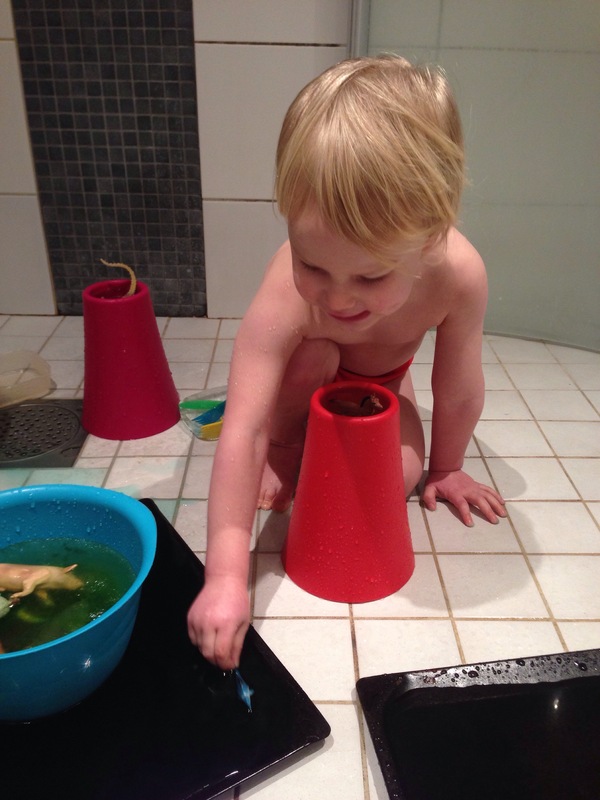 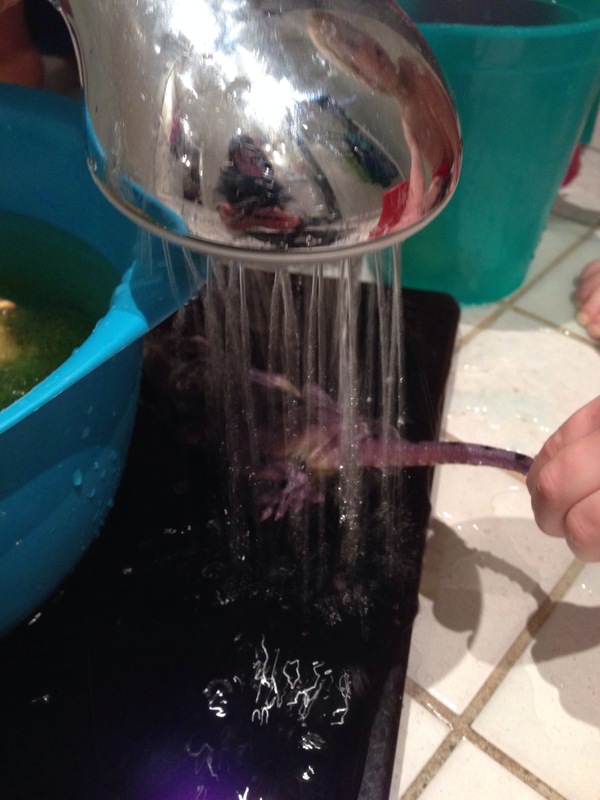 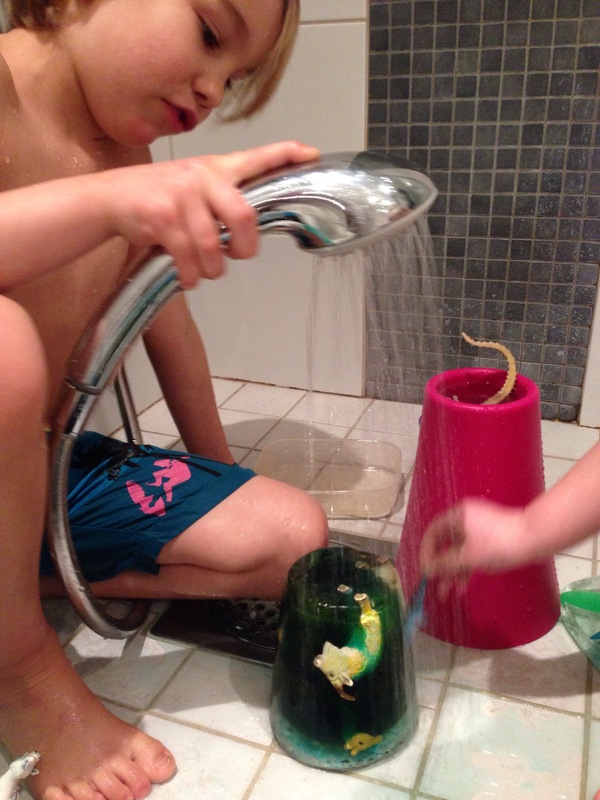 An activity which of course had to take place in the shower with swimming trunks on…! 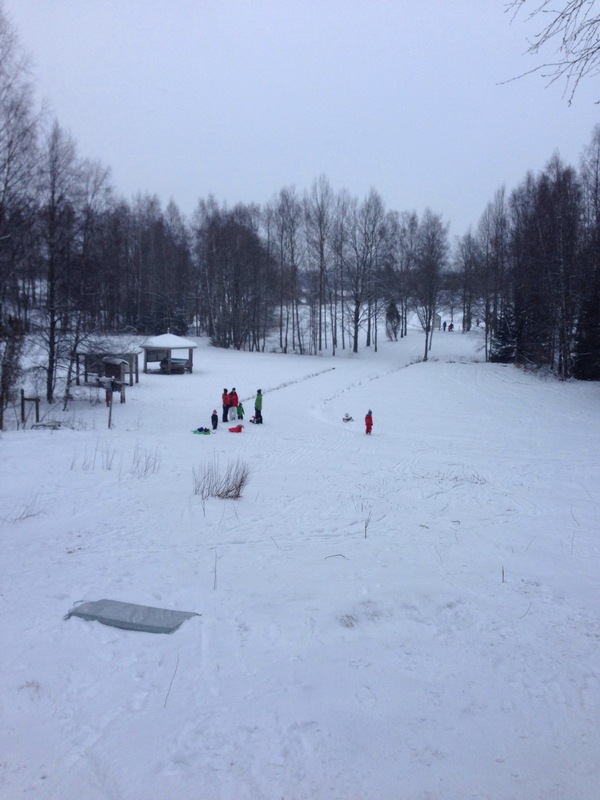 We observed how much quicker warm water melted the ice, compared to the salt from the other day..
A Perfect Day For Sledging! 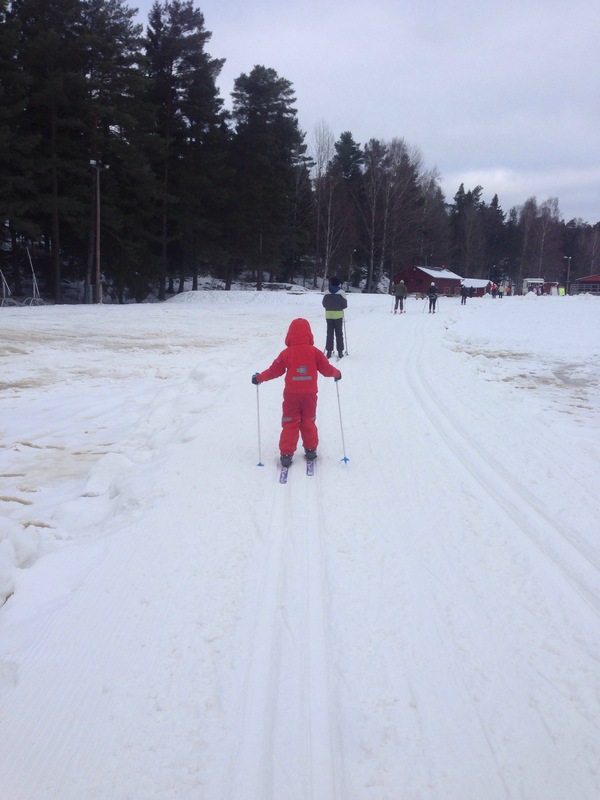 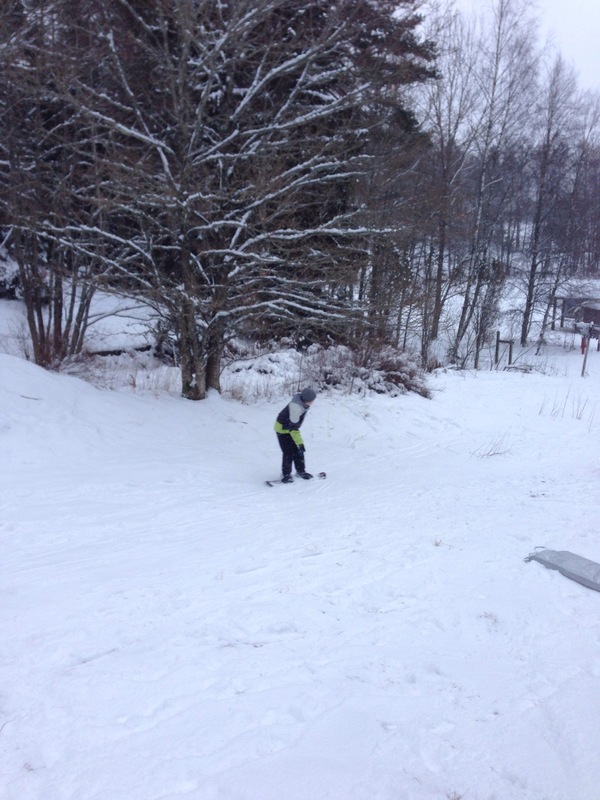 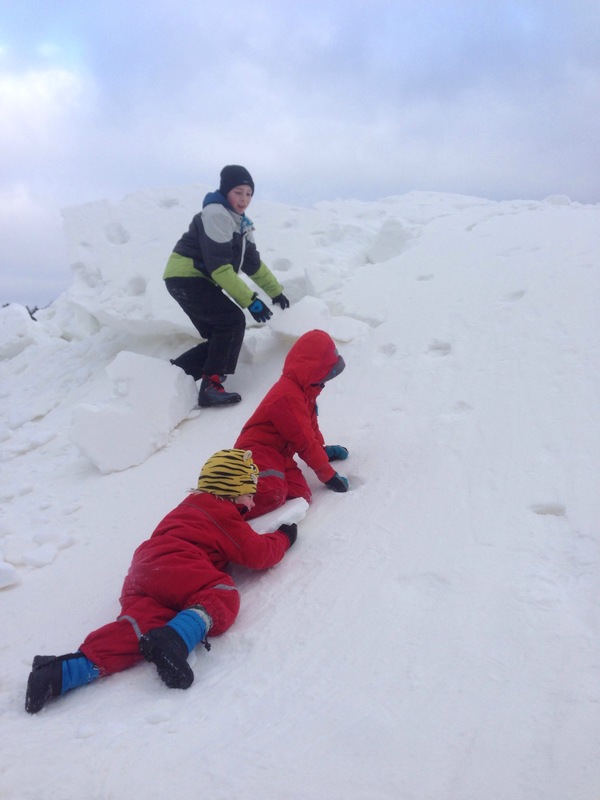 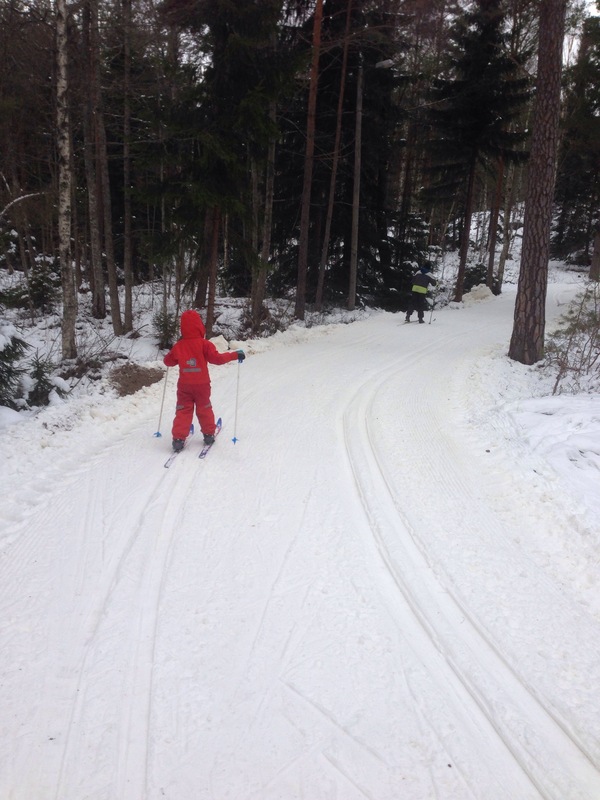 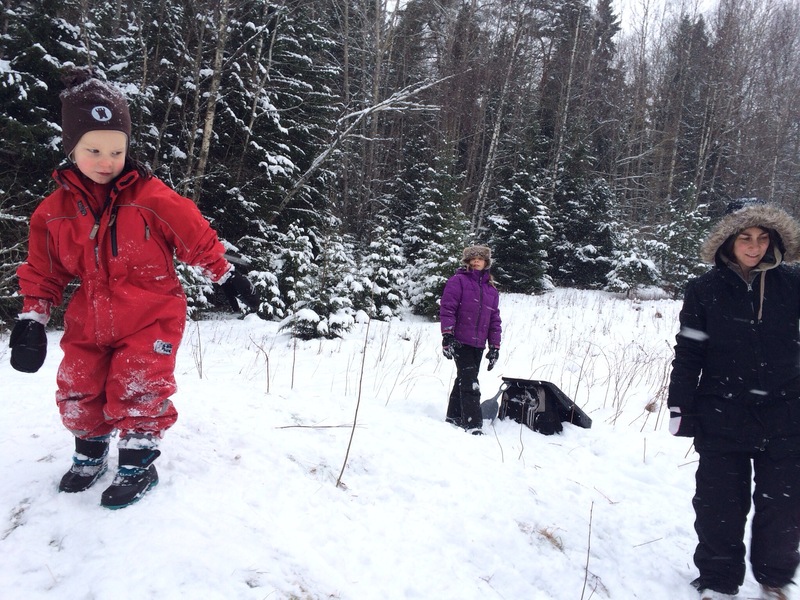 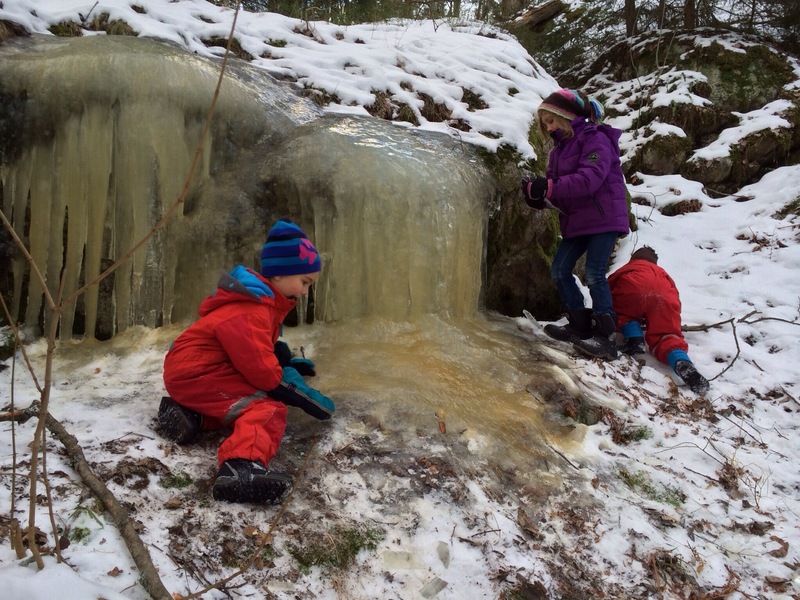 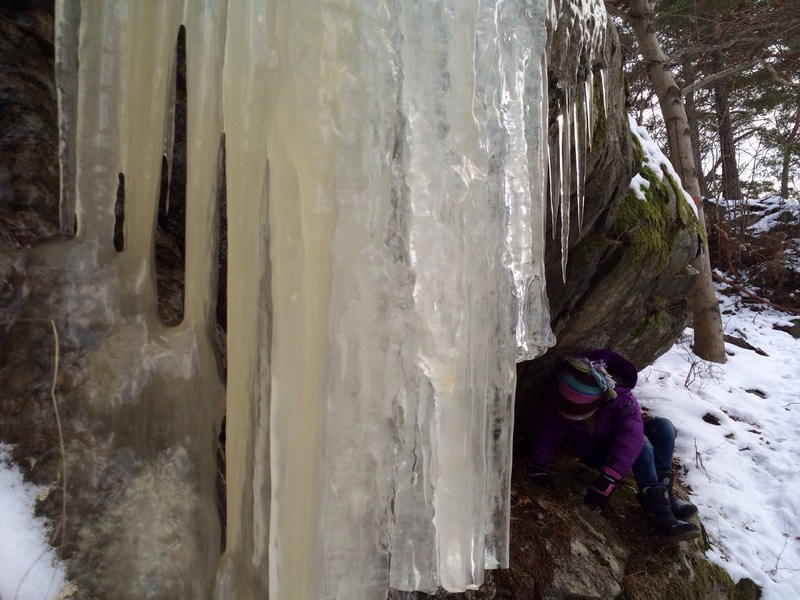 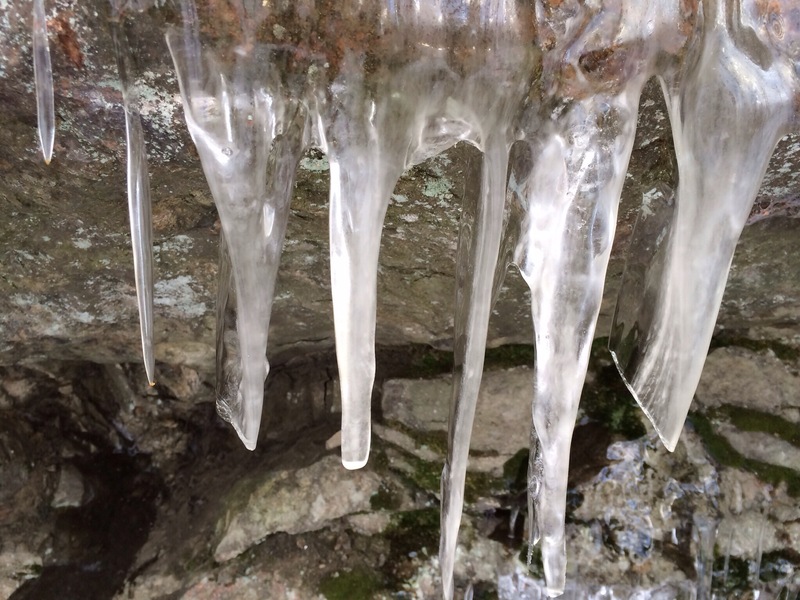 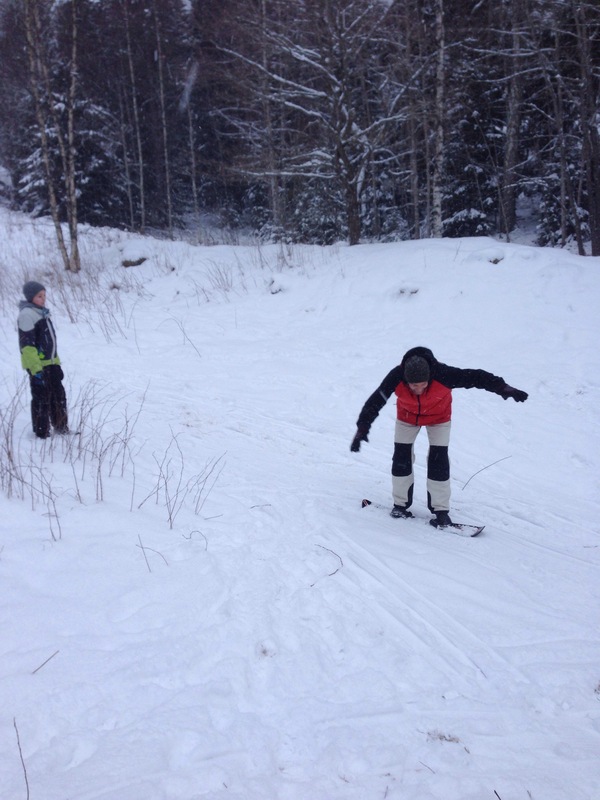 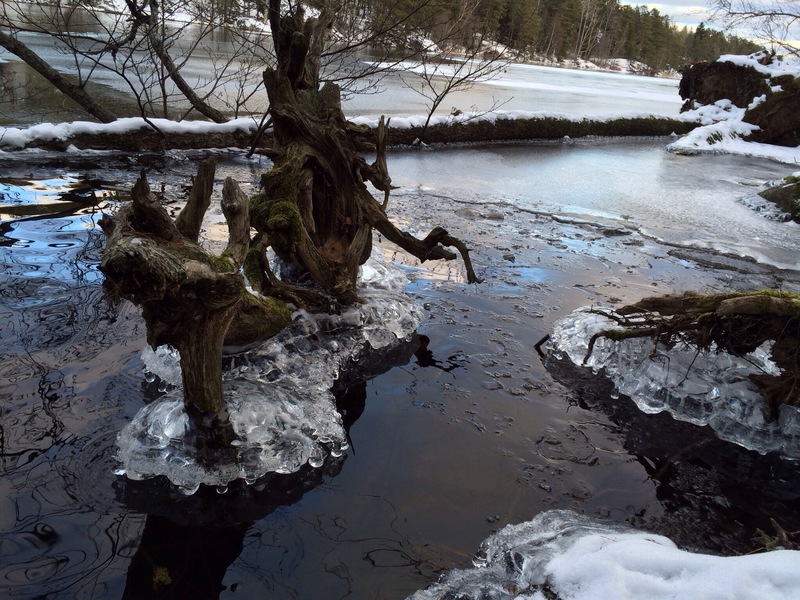 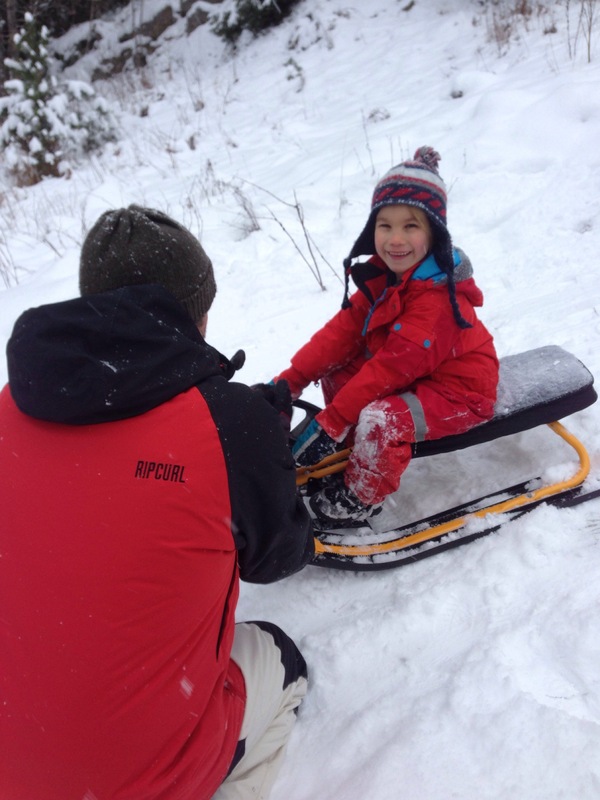 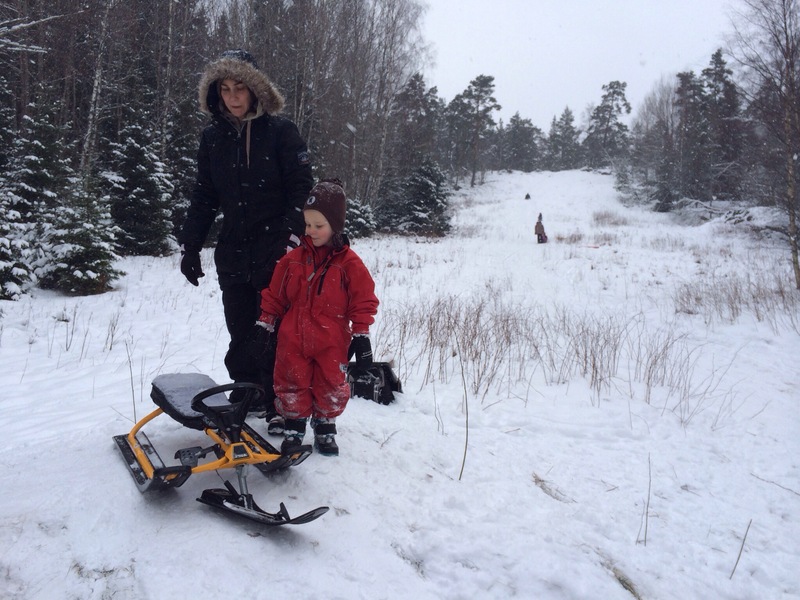 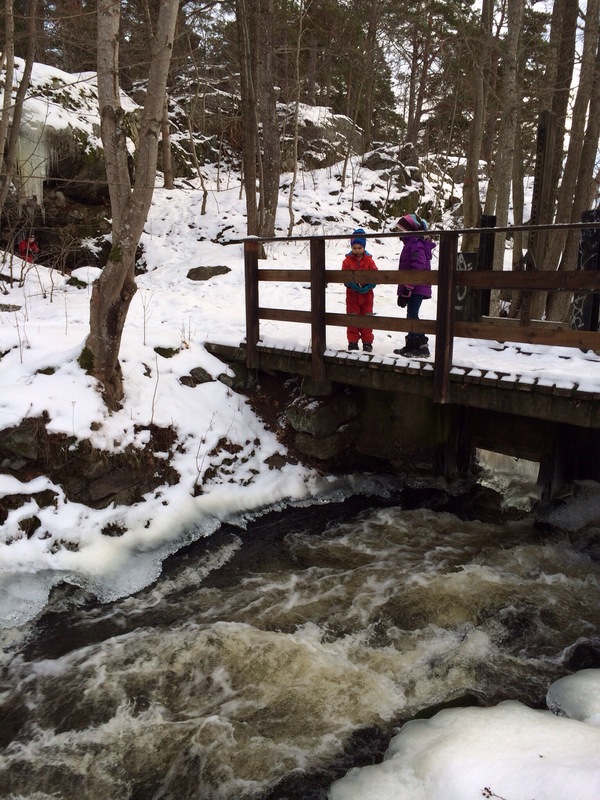 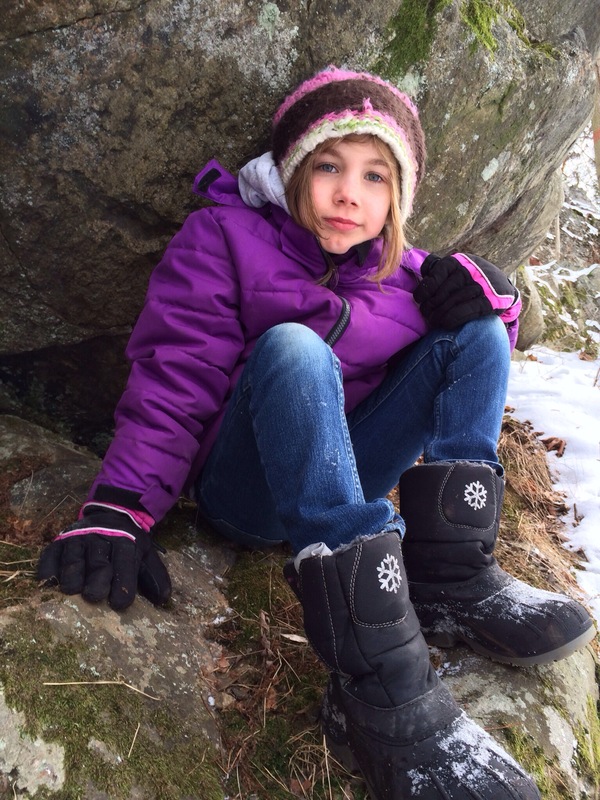 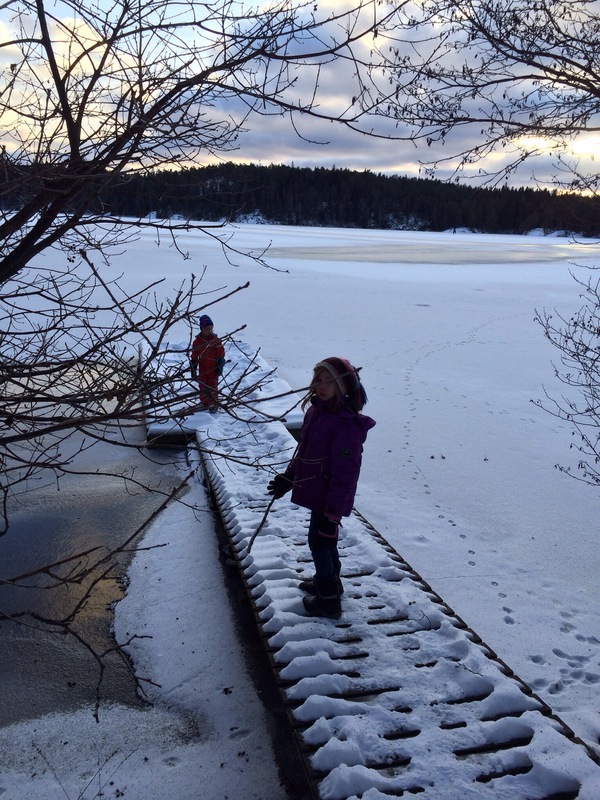 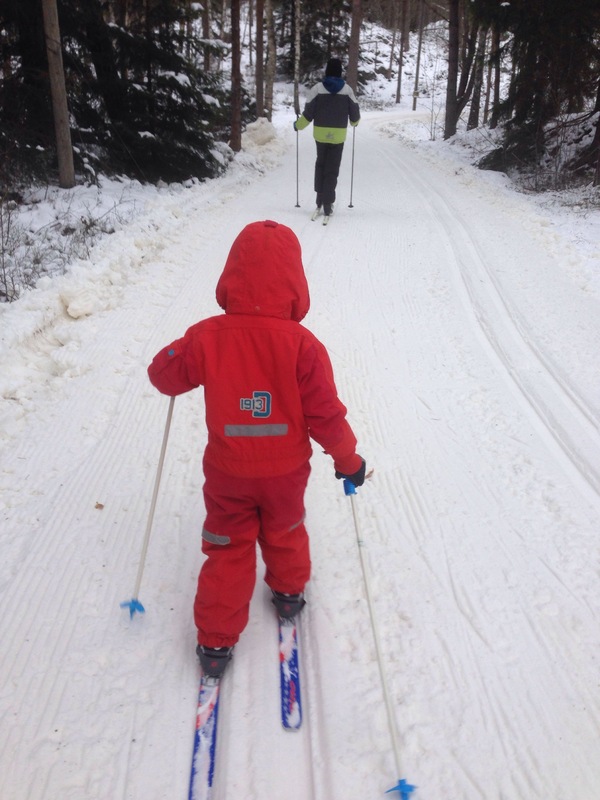 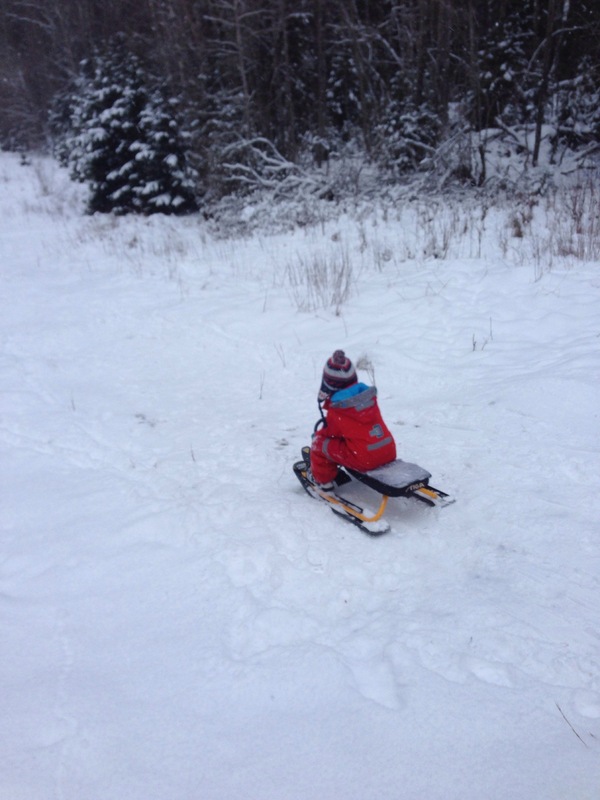 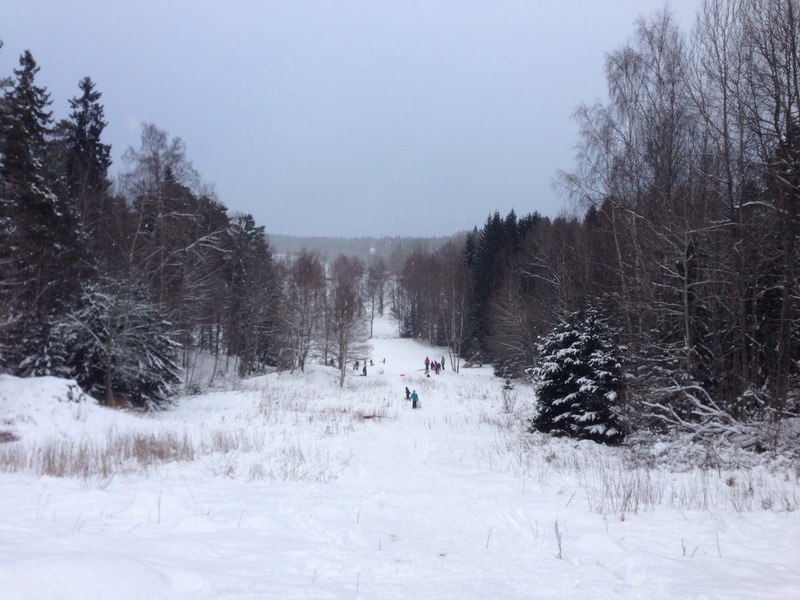 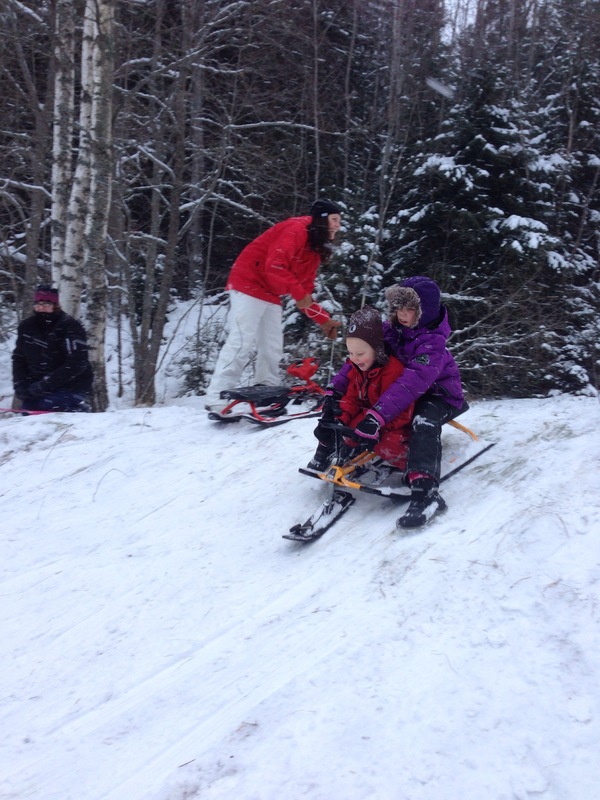 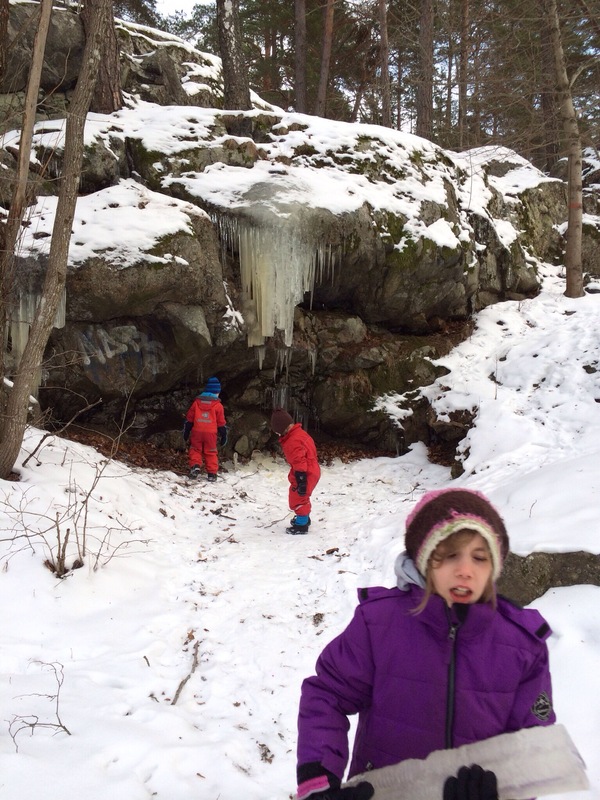 Saturday at Tyresta National Park – and a perfect day for sledging! 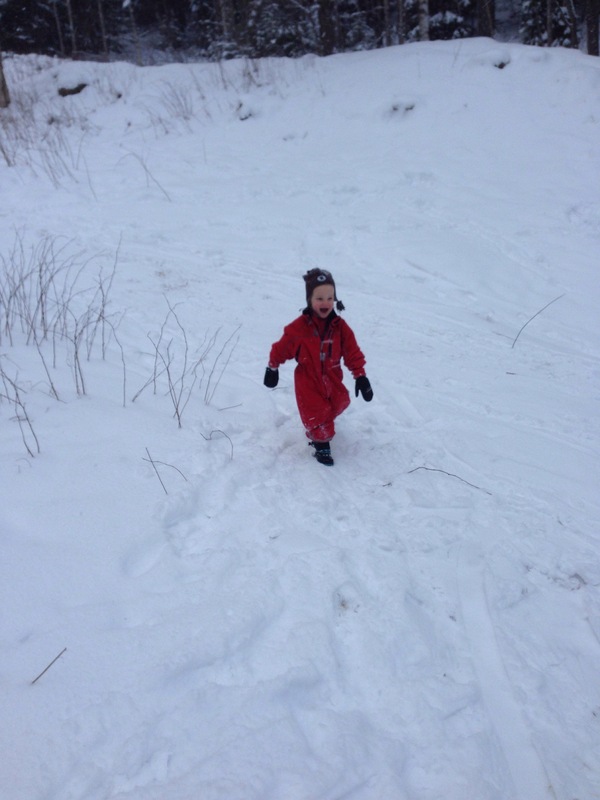 Teddy’s proving to be a trooper – giving everything a try without a moan – in fact, just running in the snow satisfies him! 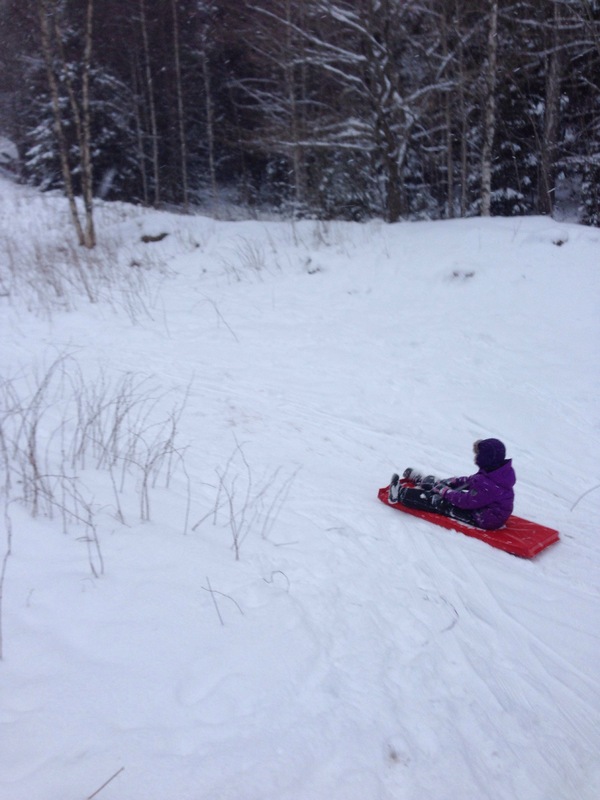 Maya’s a true big sister, always taking care of Teddy..
Alfie impressed us all by sledging from the very top of the hill..
Can you see him? 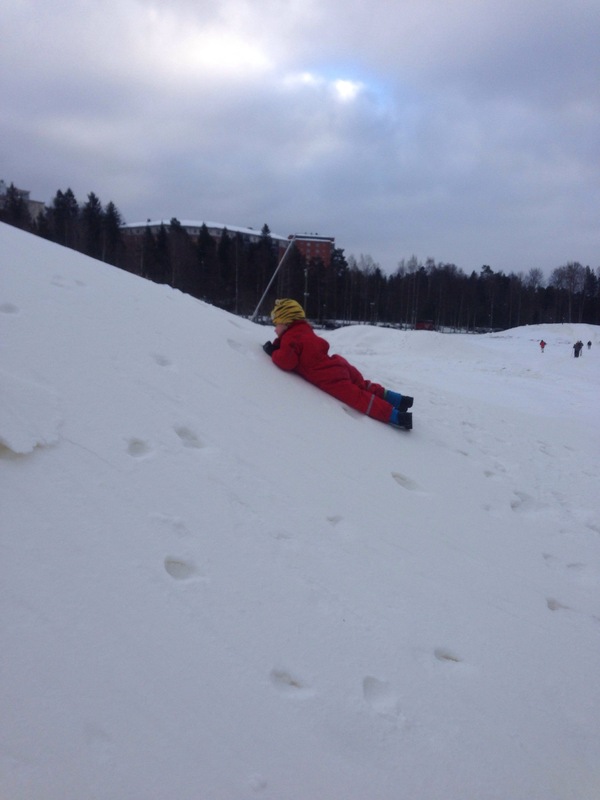 Right at the bottom!